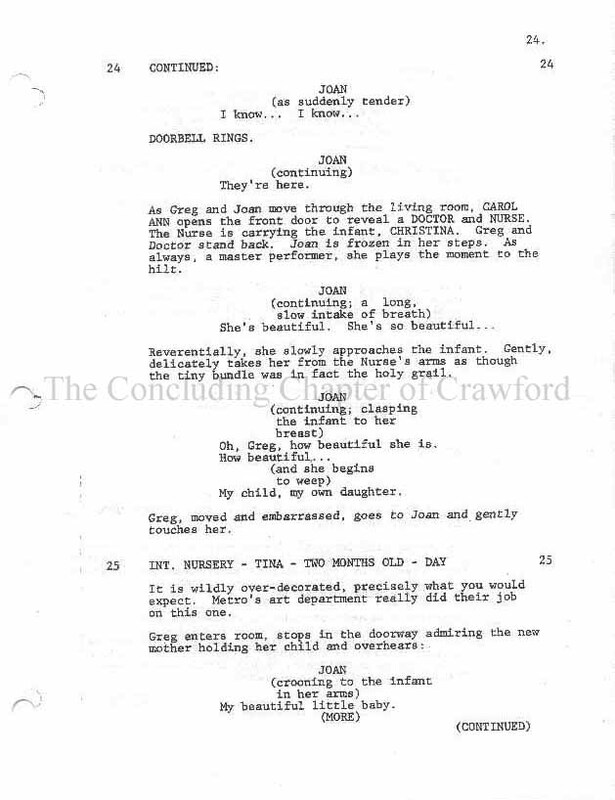 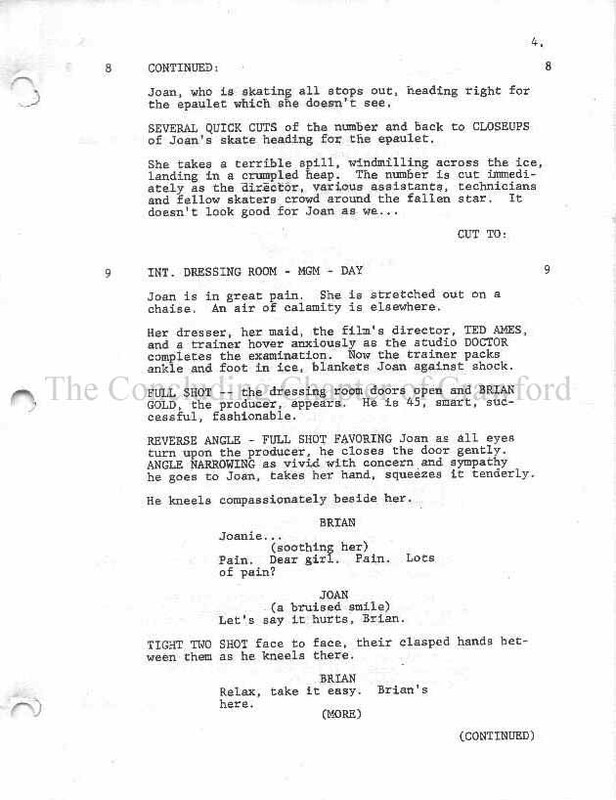 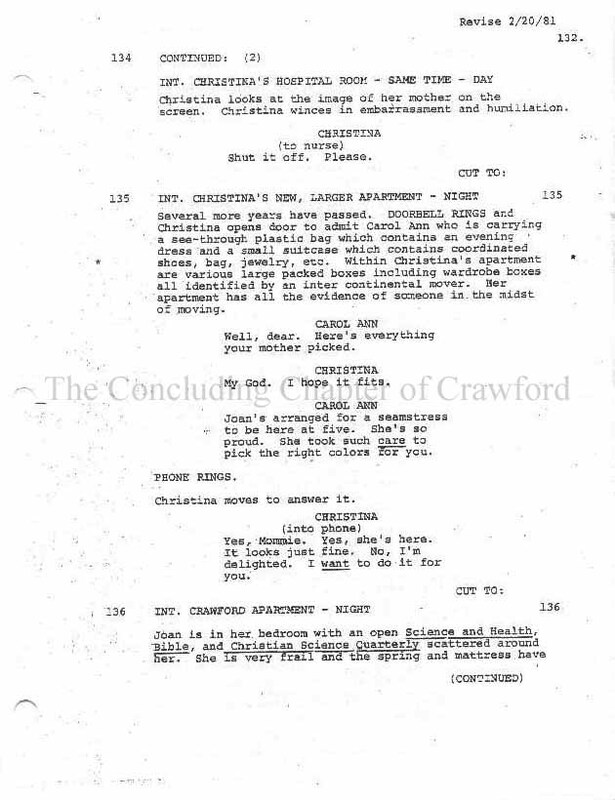 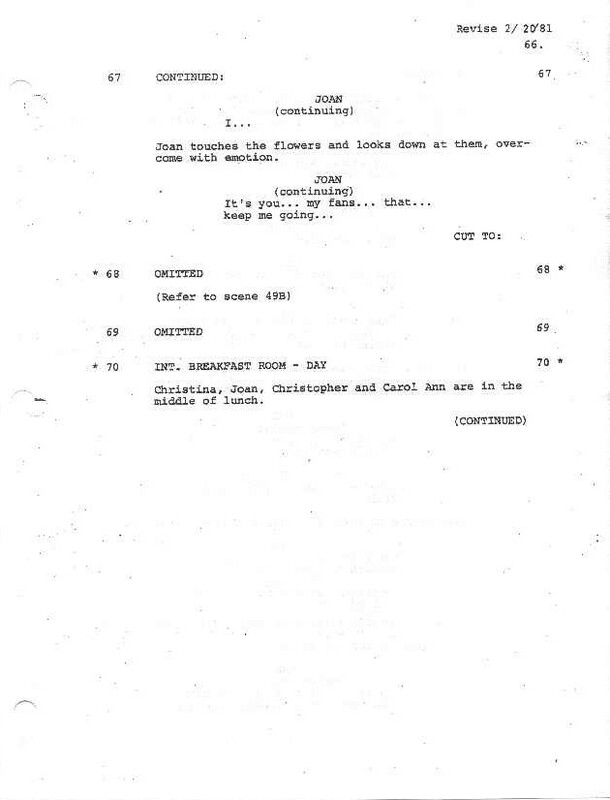 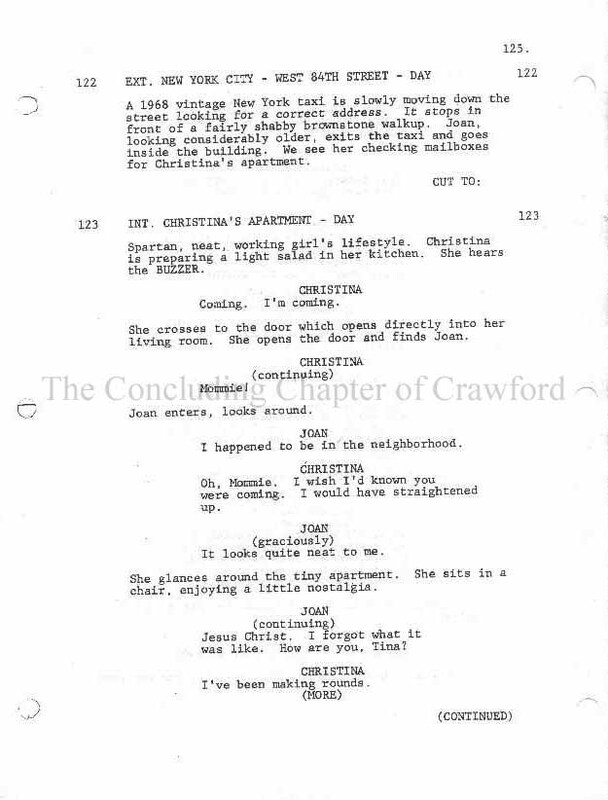 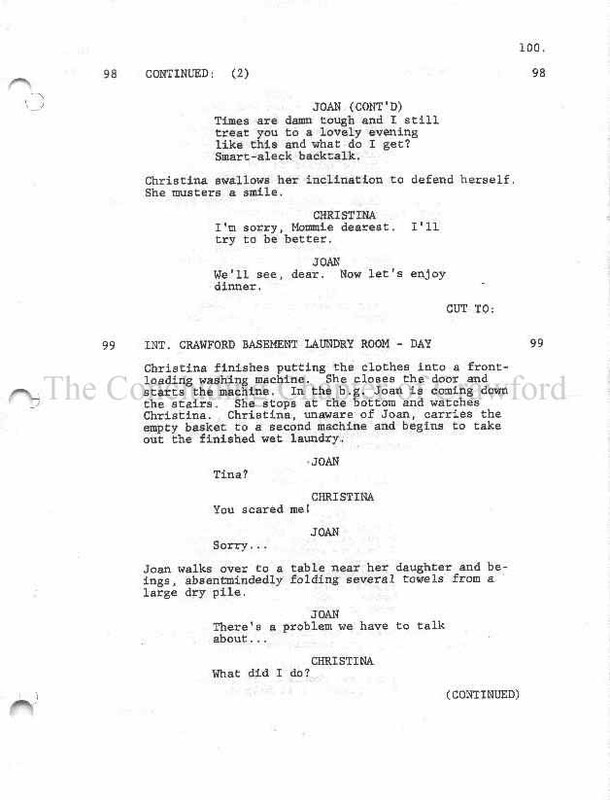 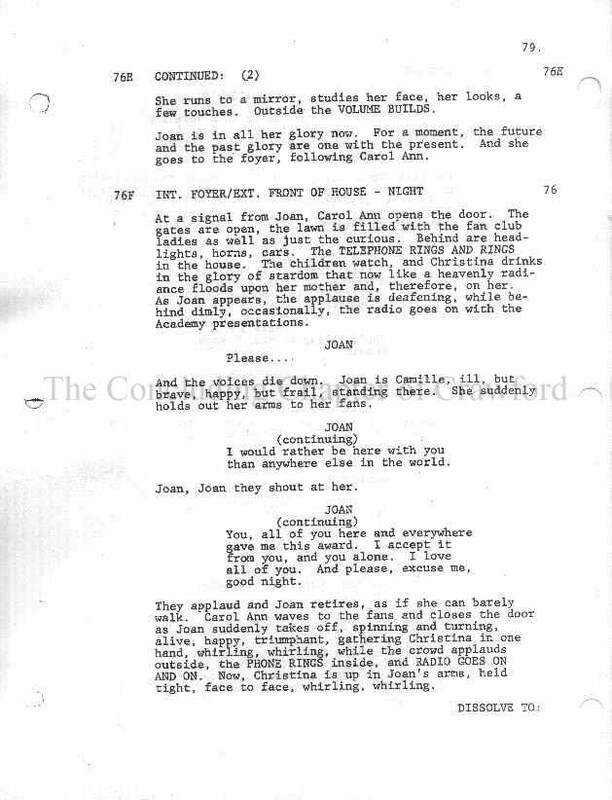 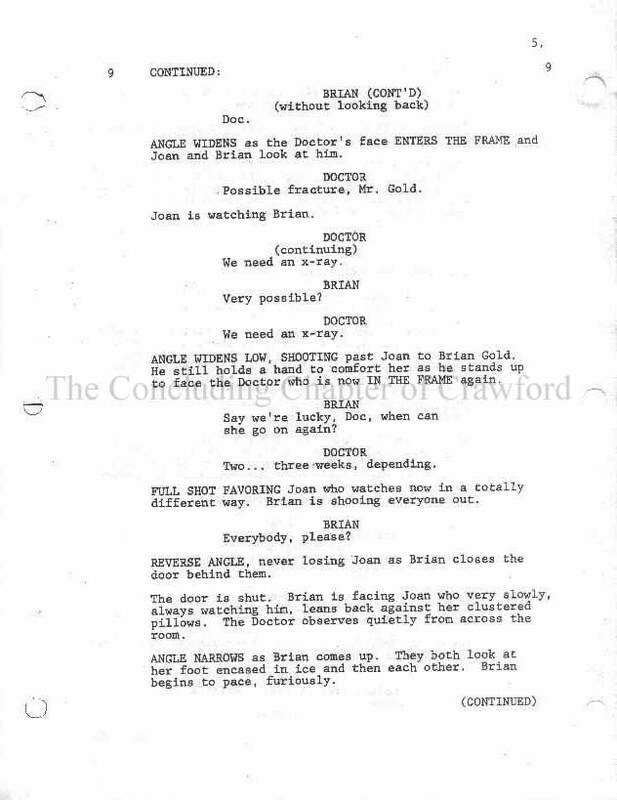 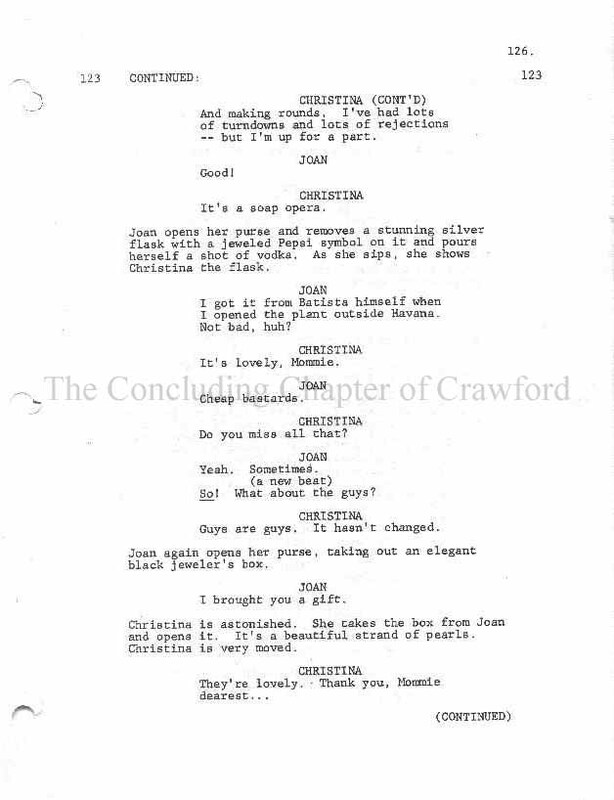 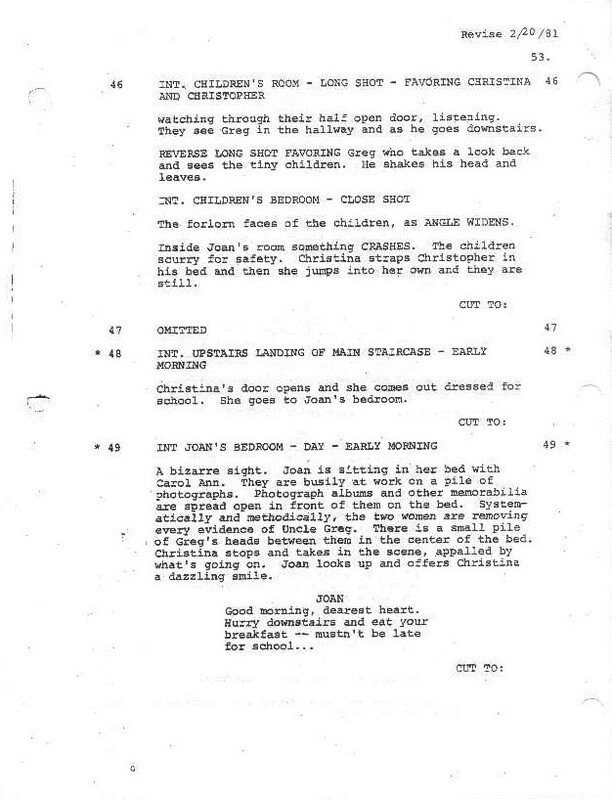 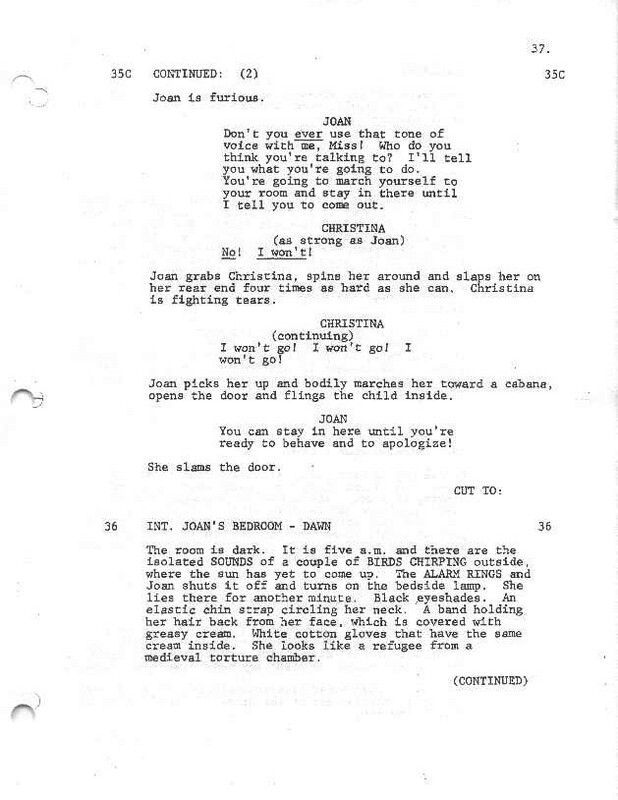 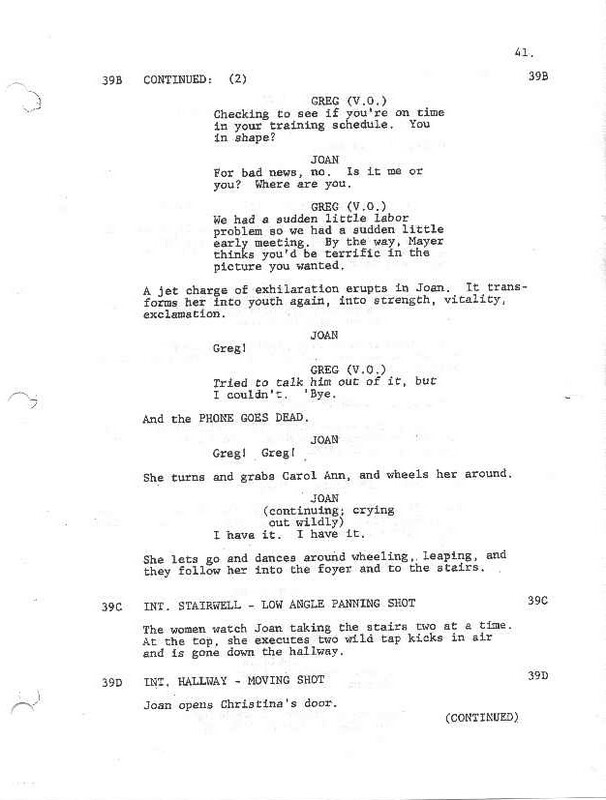 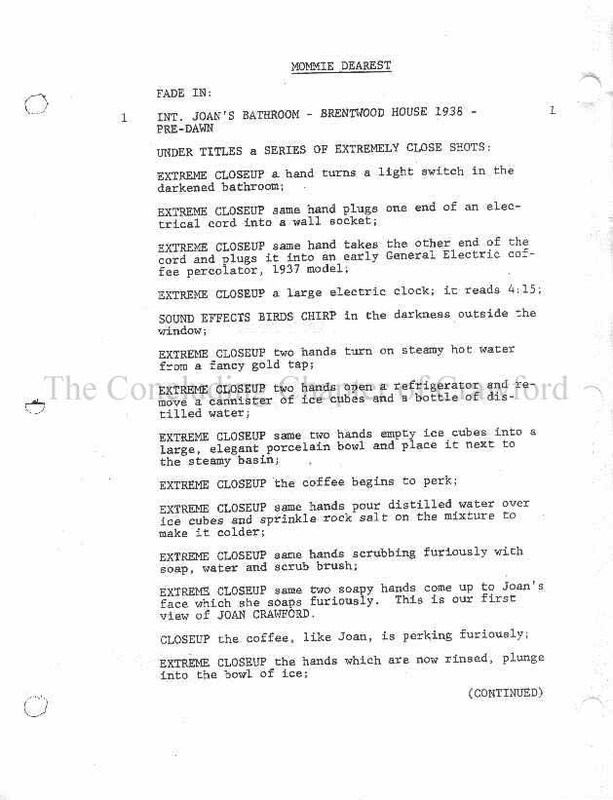 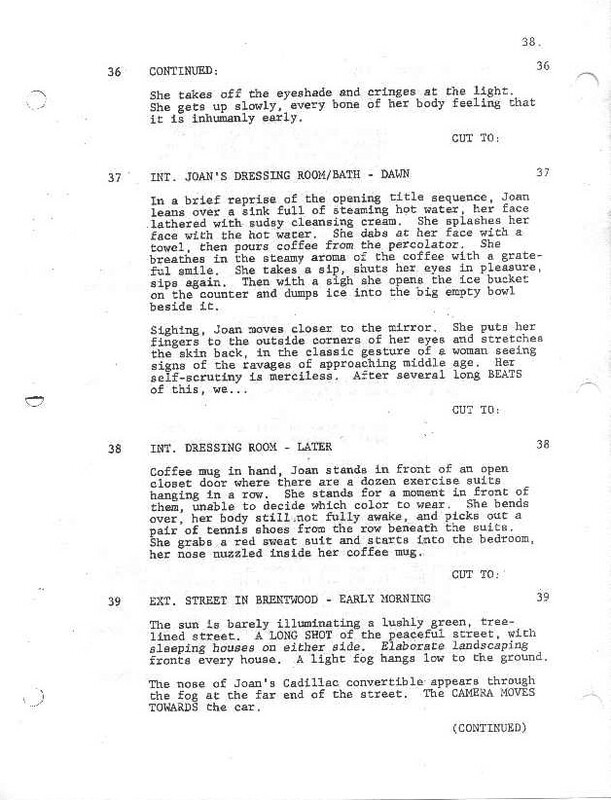 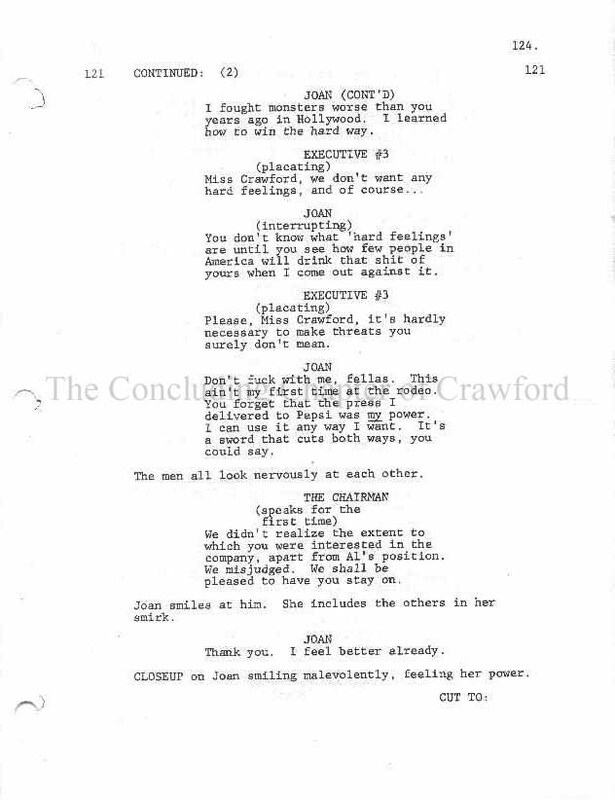 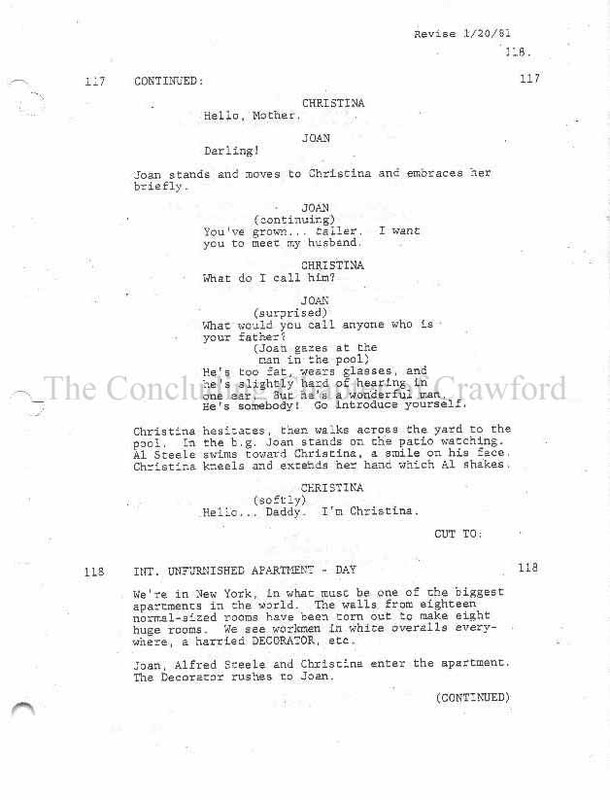 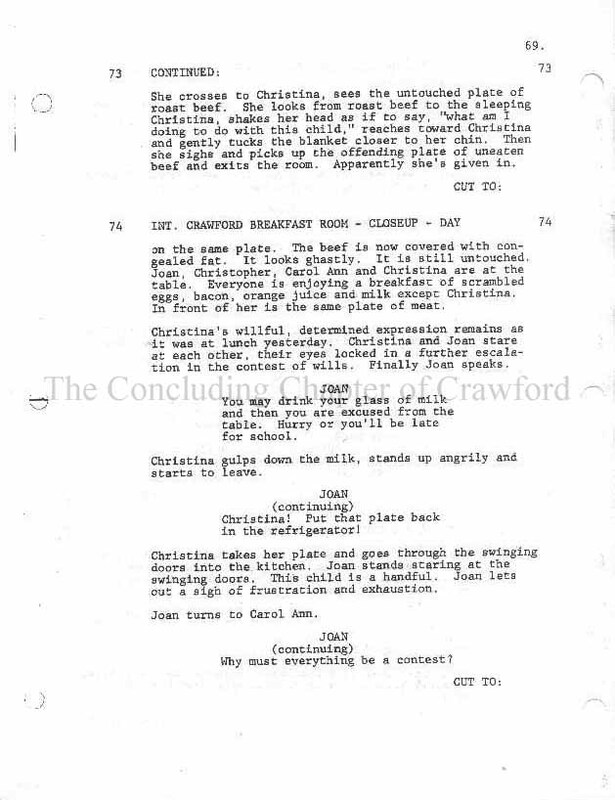 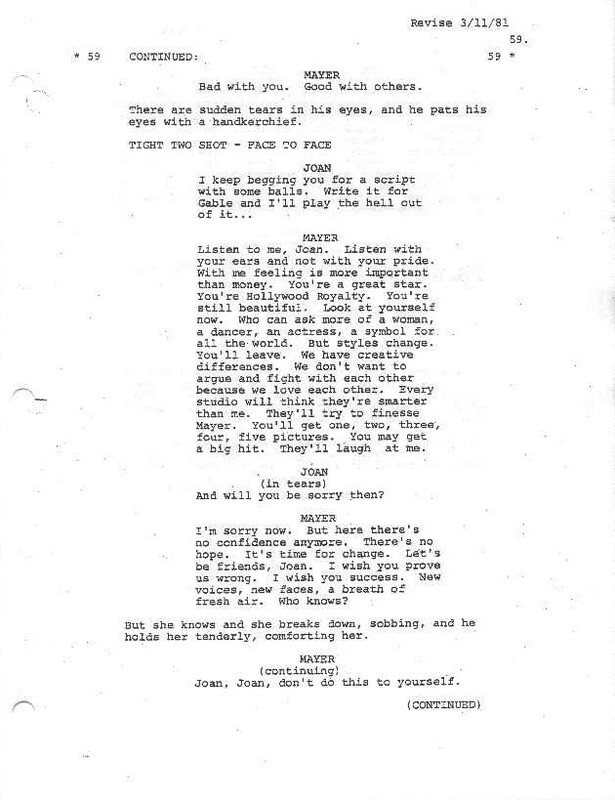 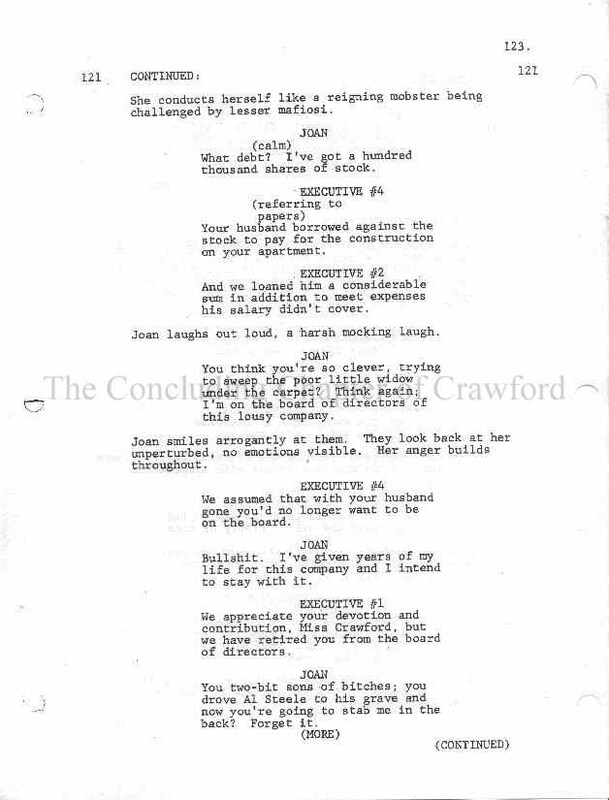 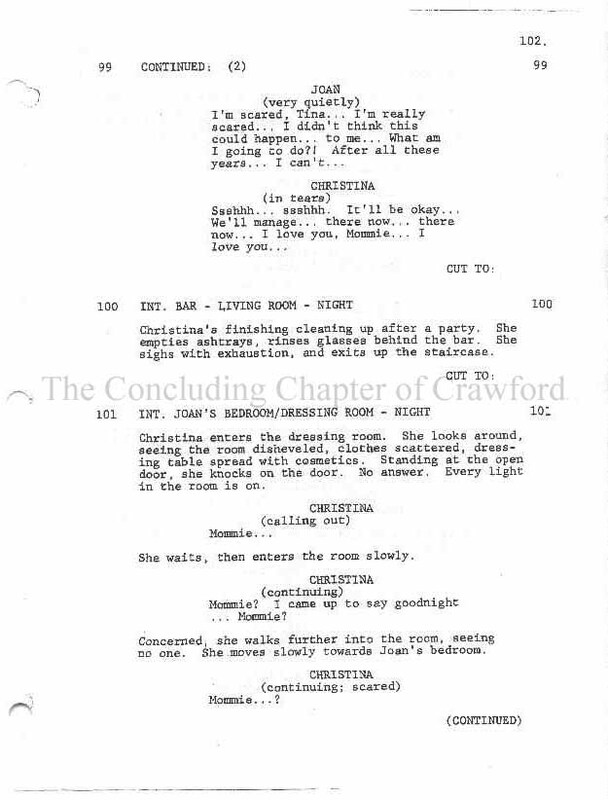 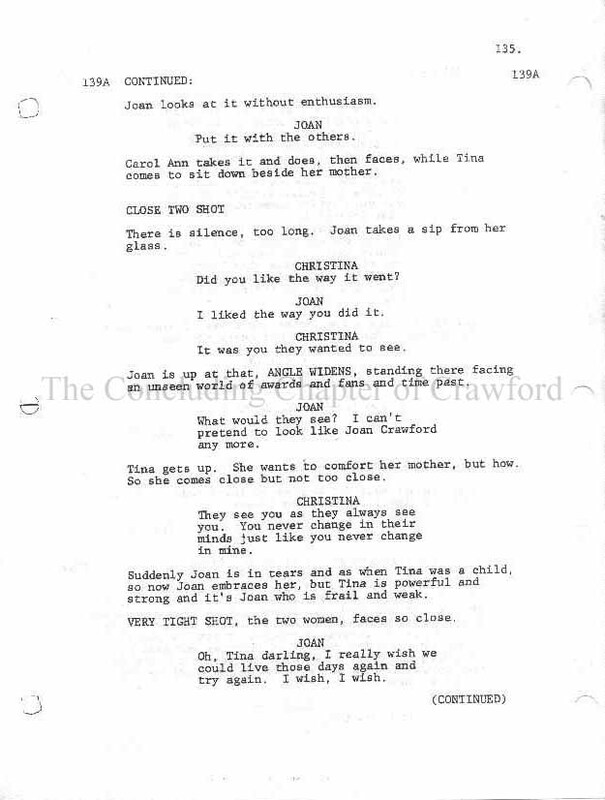 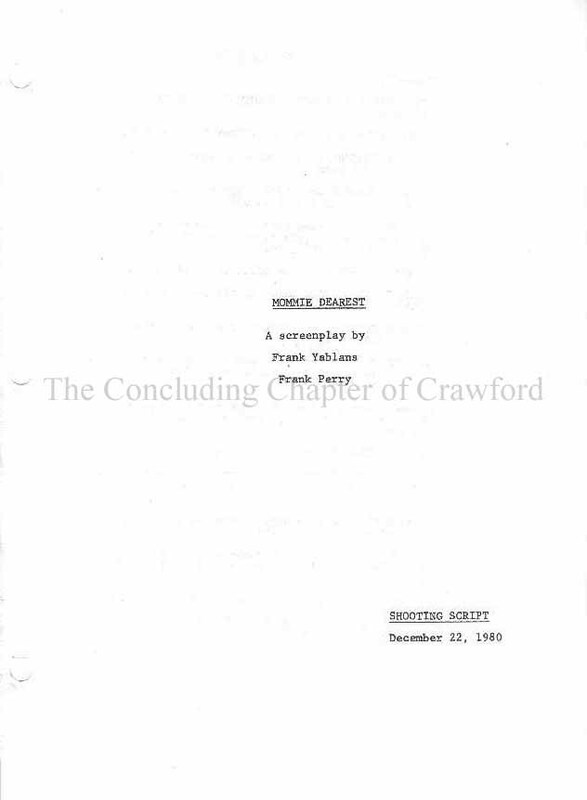 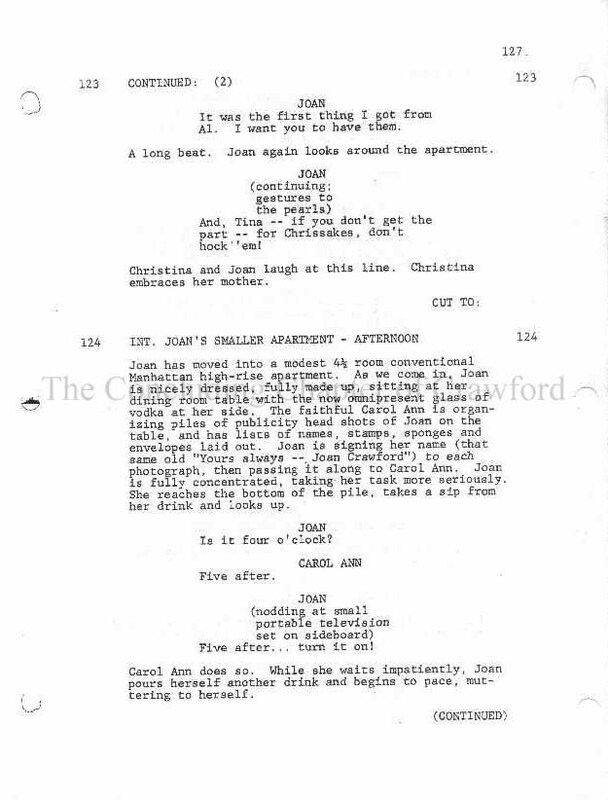 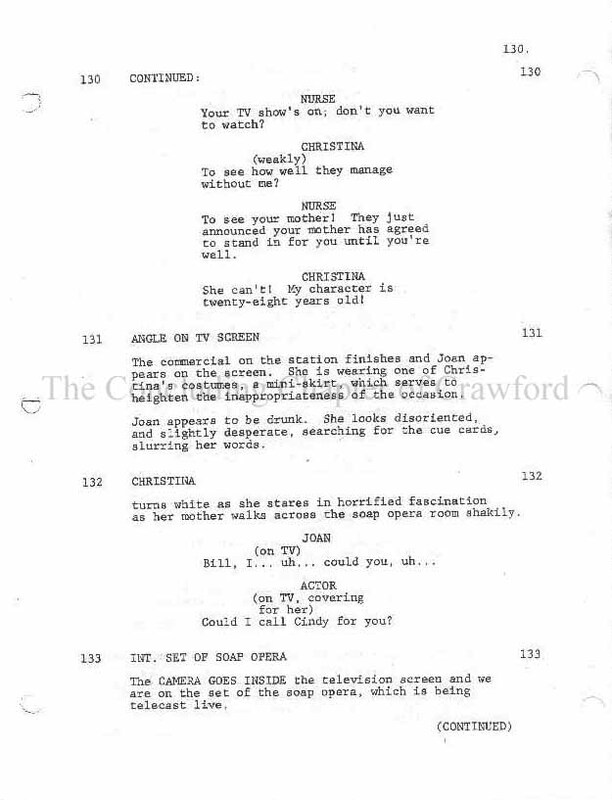 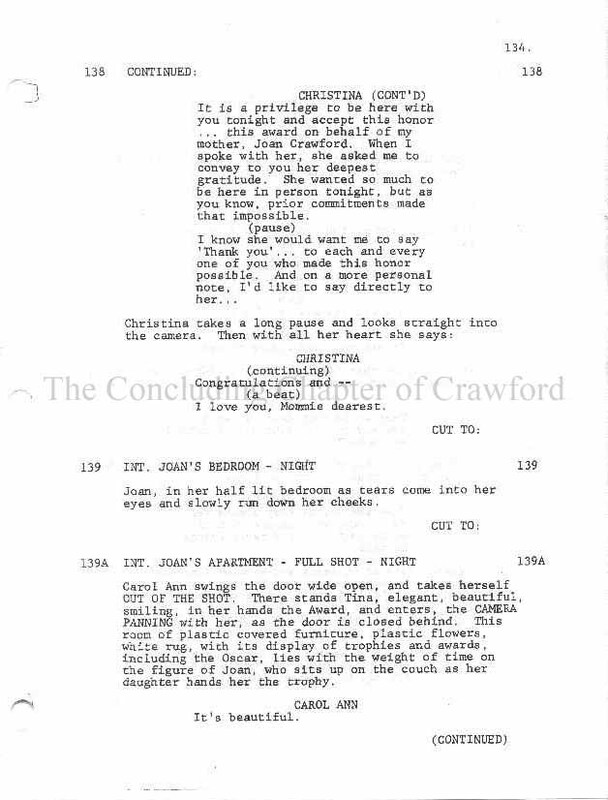 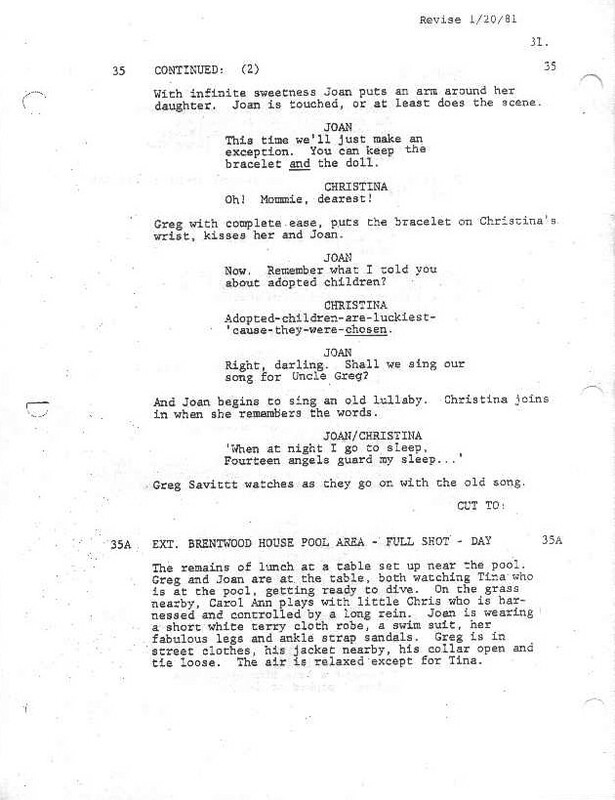 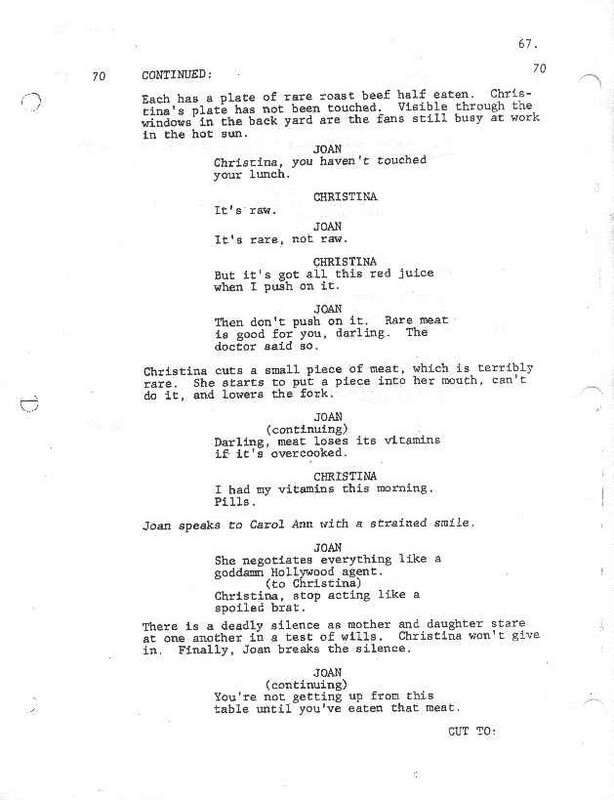 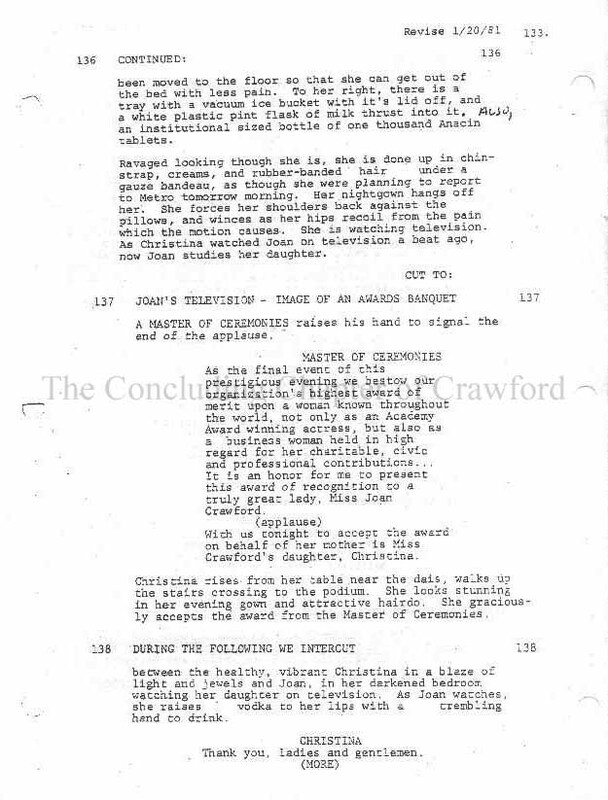 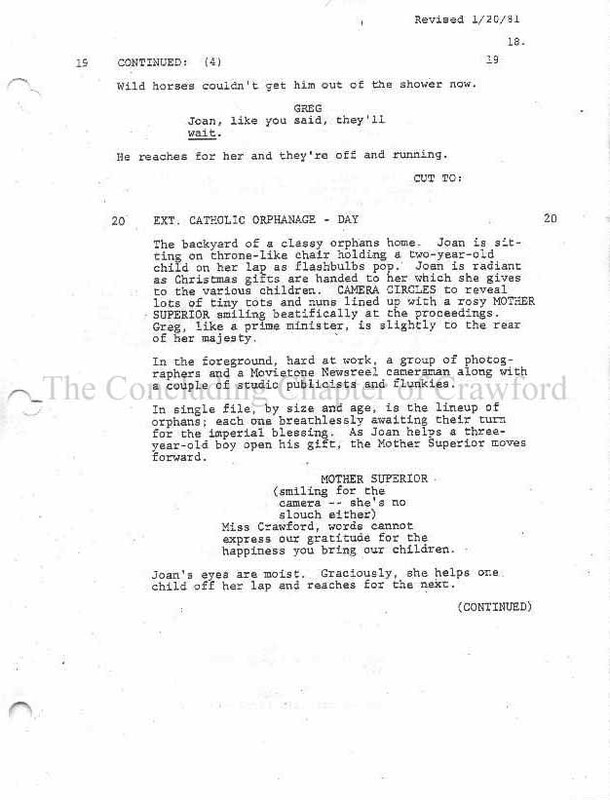 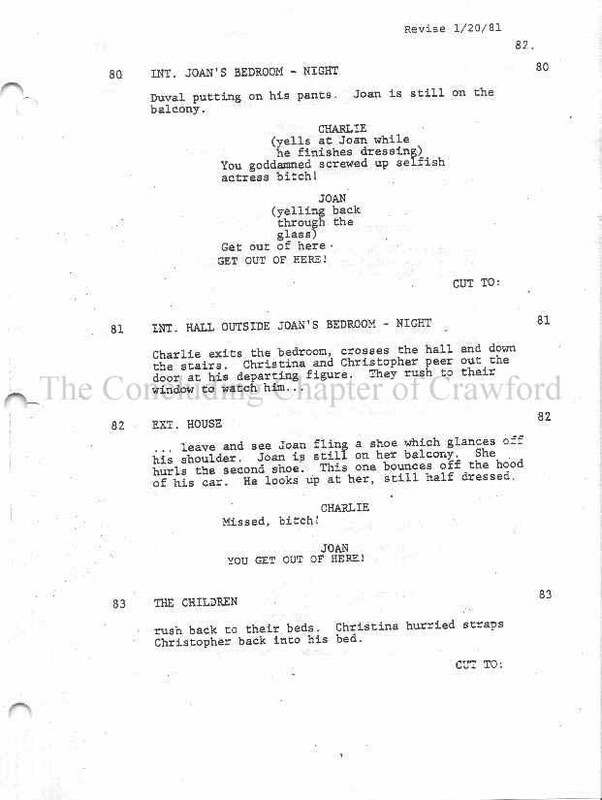 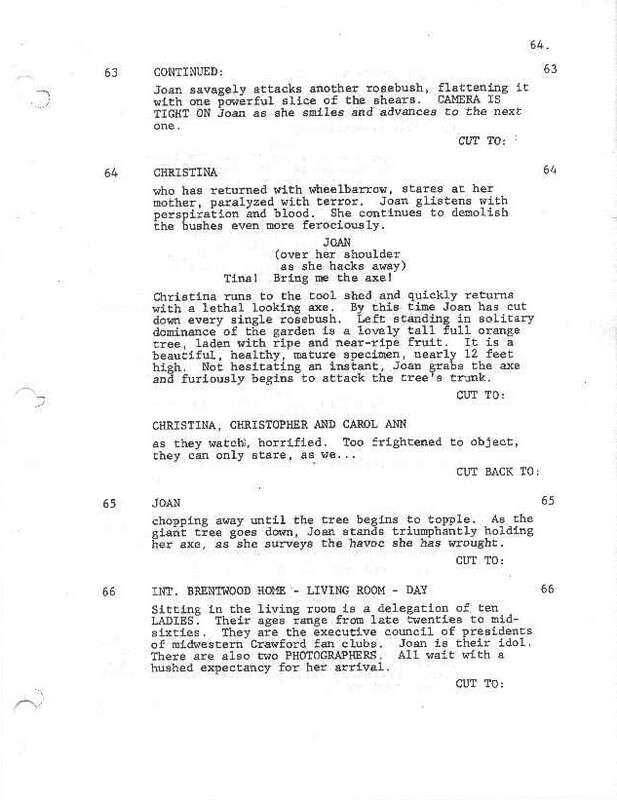 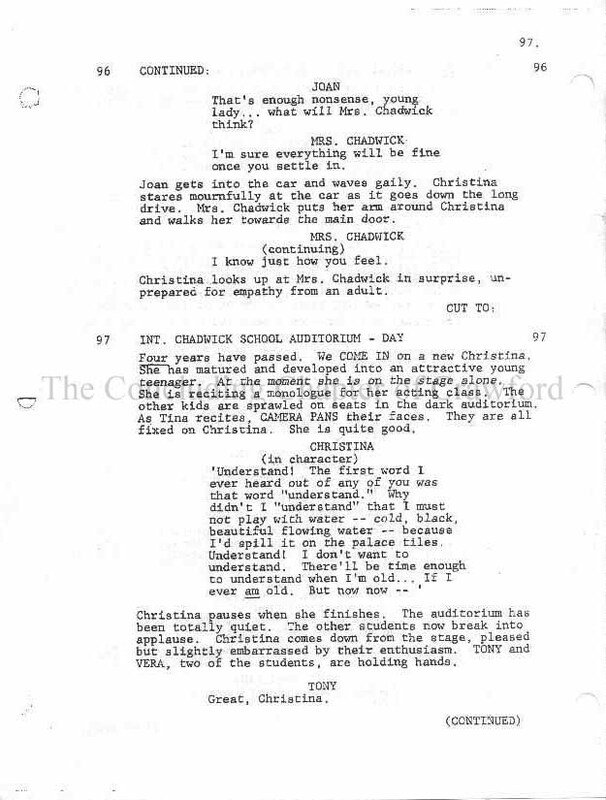 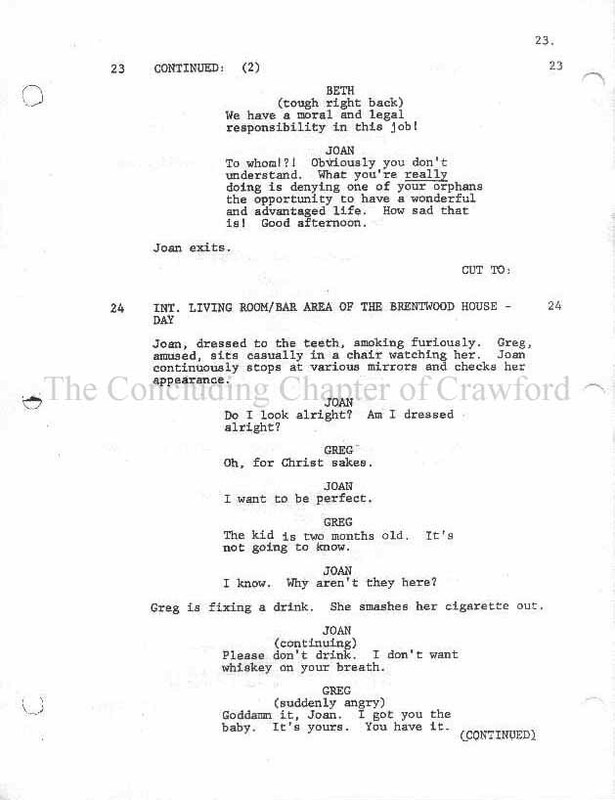 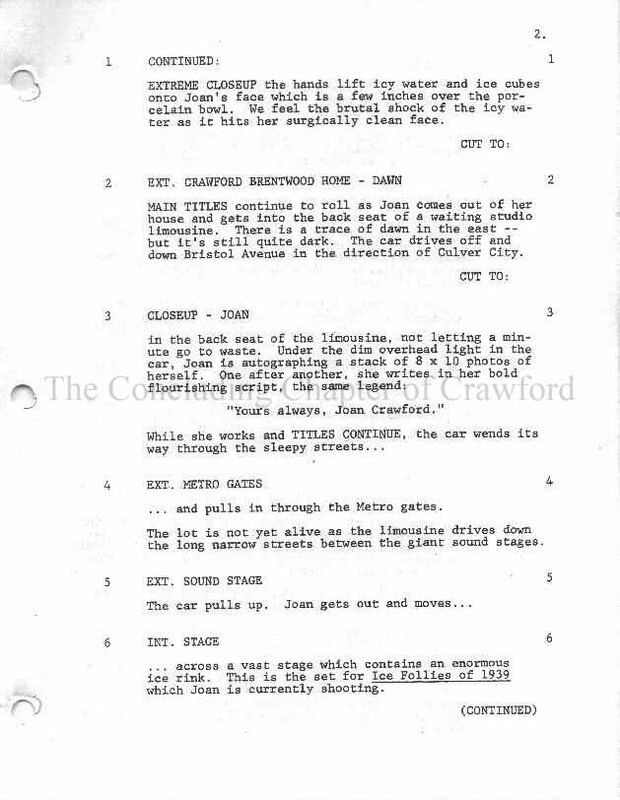 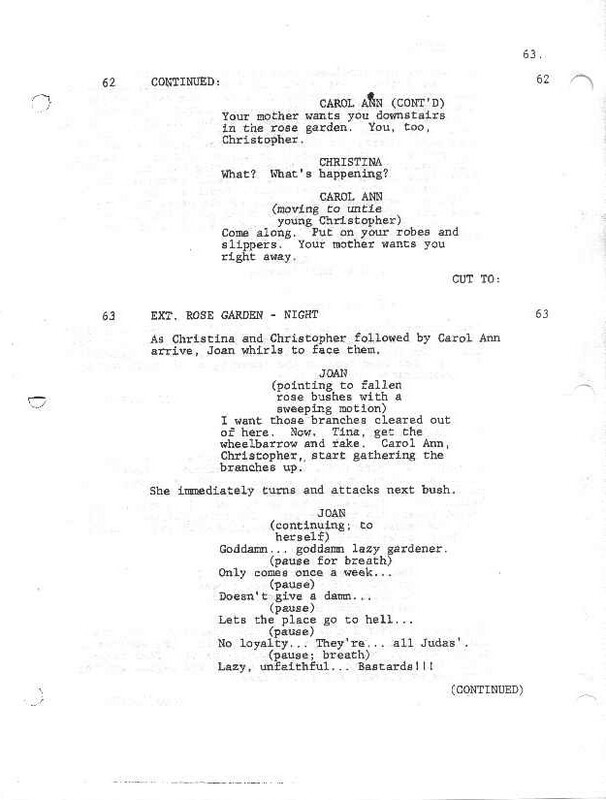 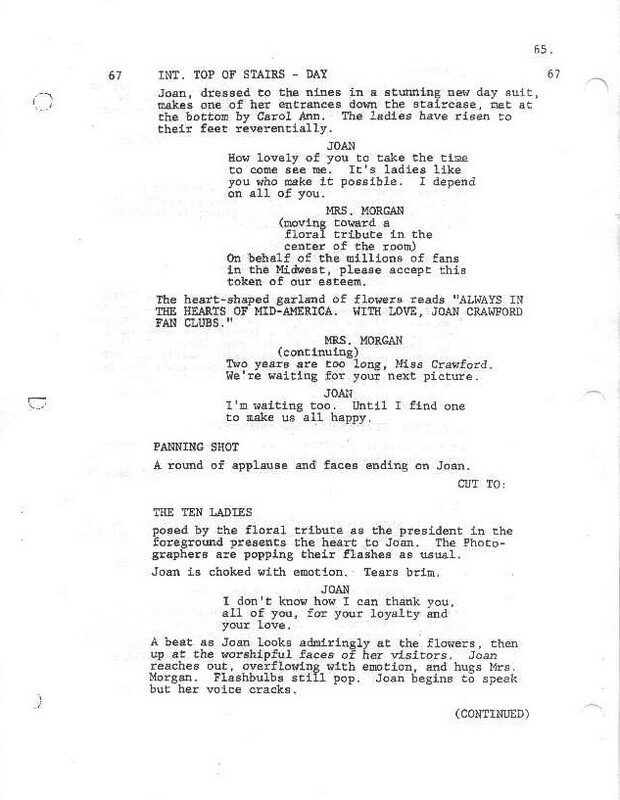 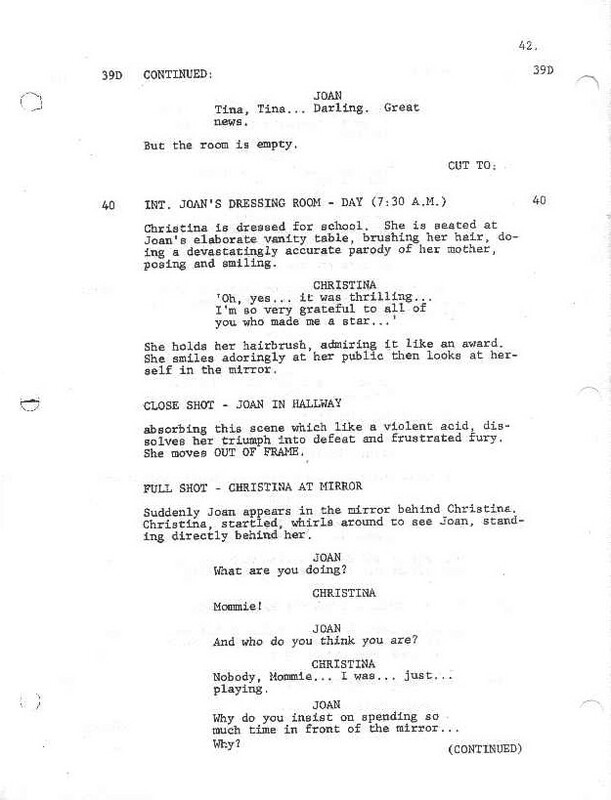 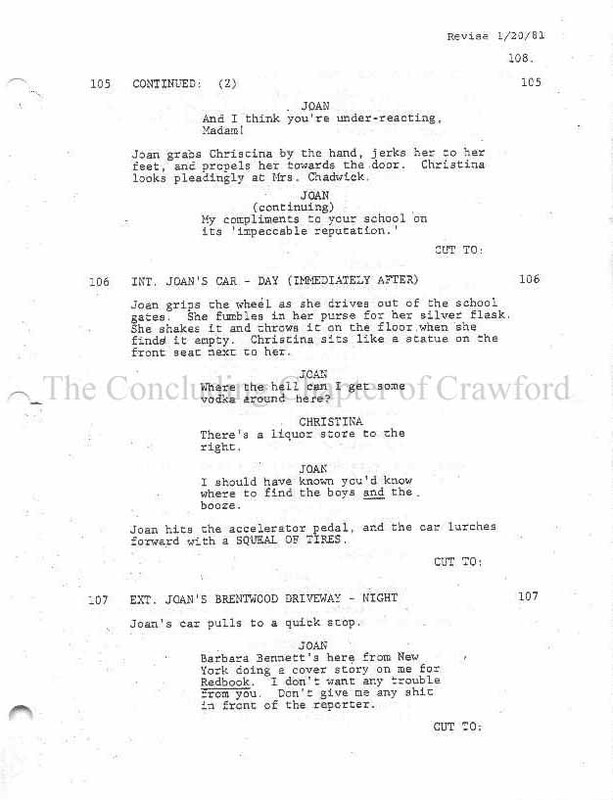 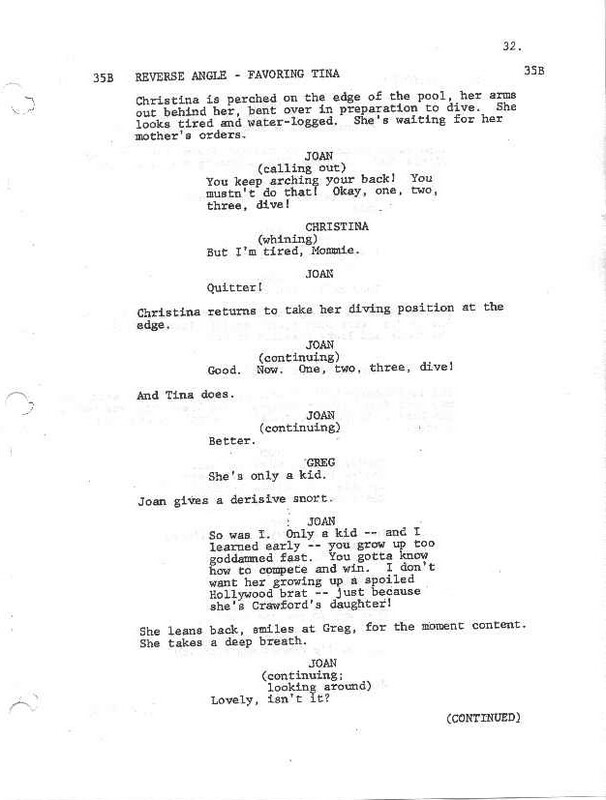 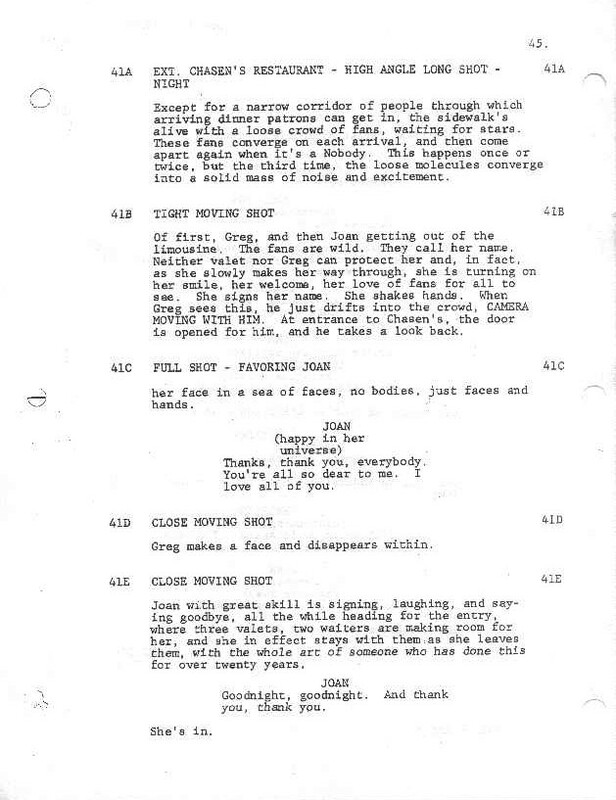 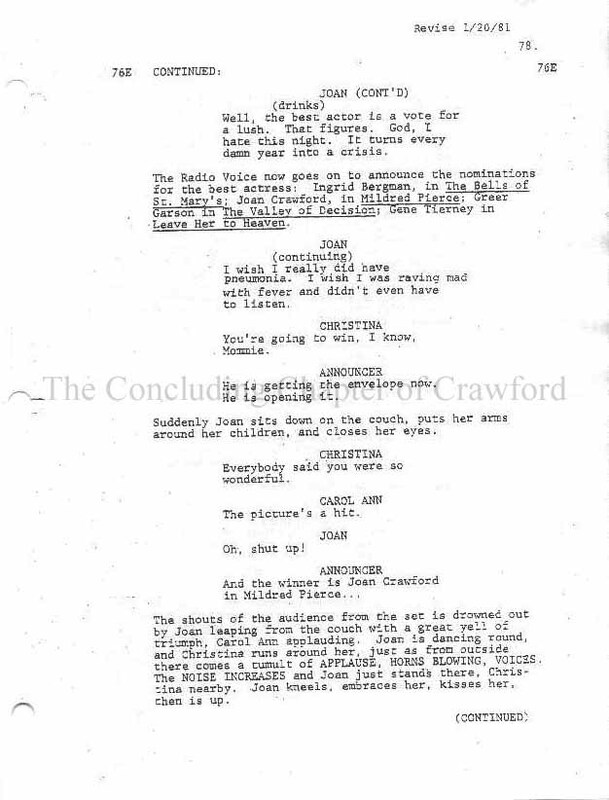 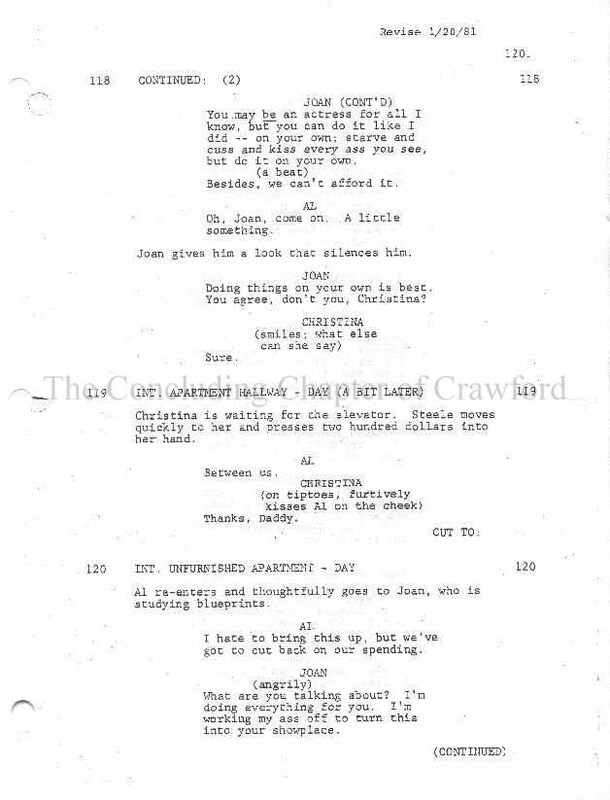 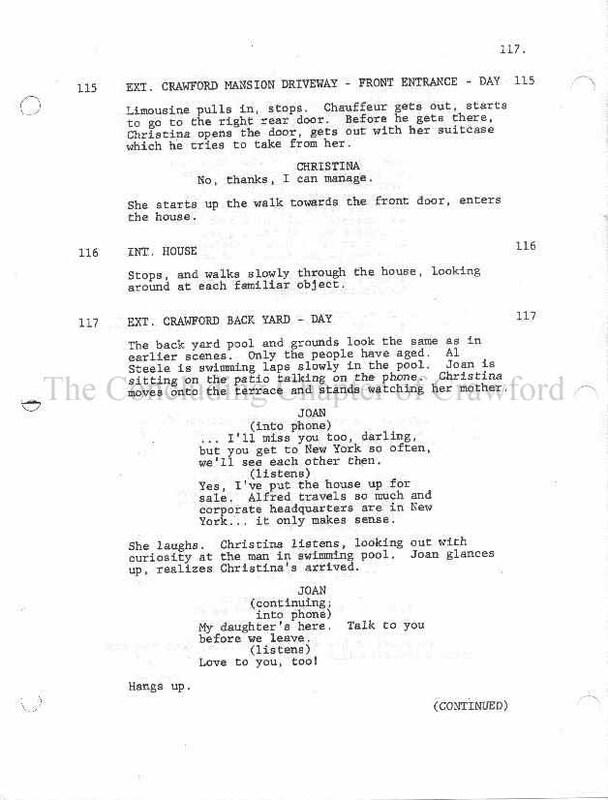 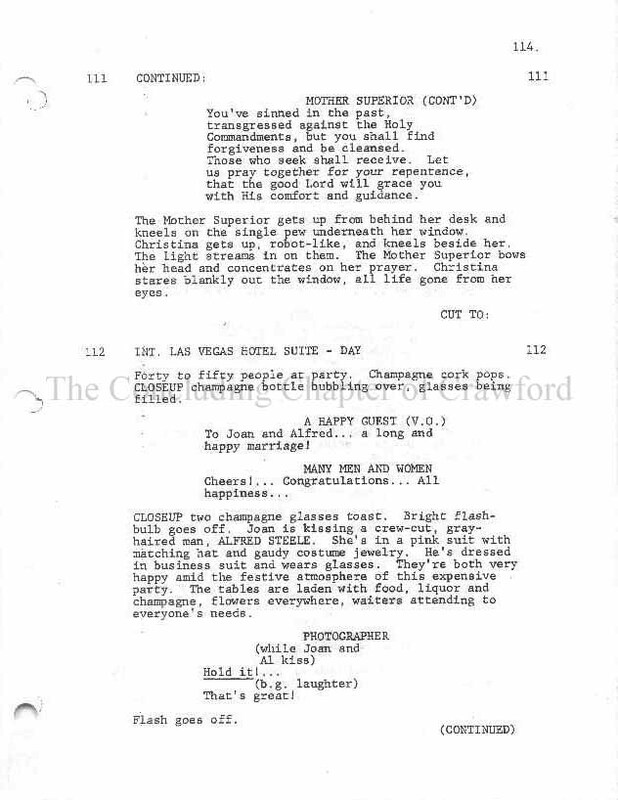 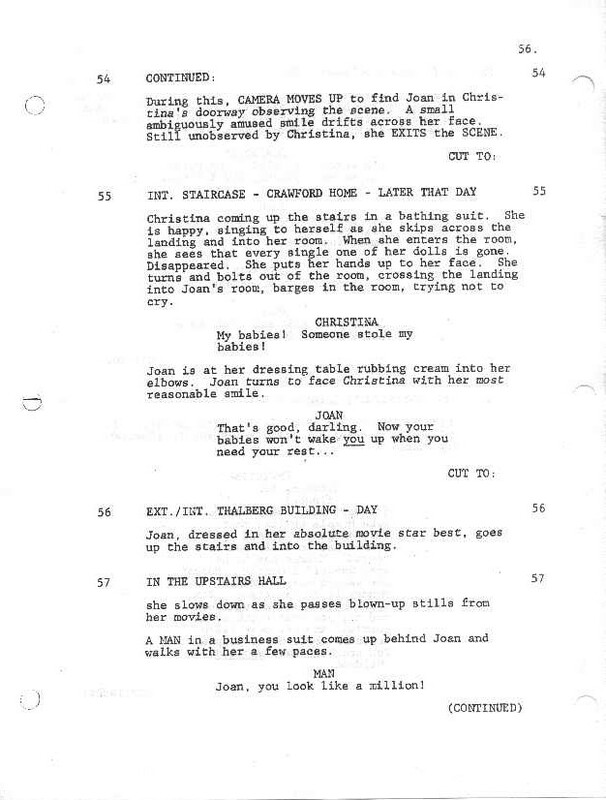 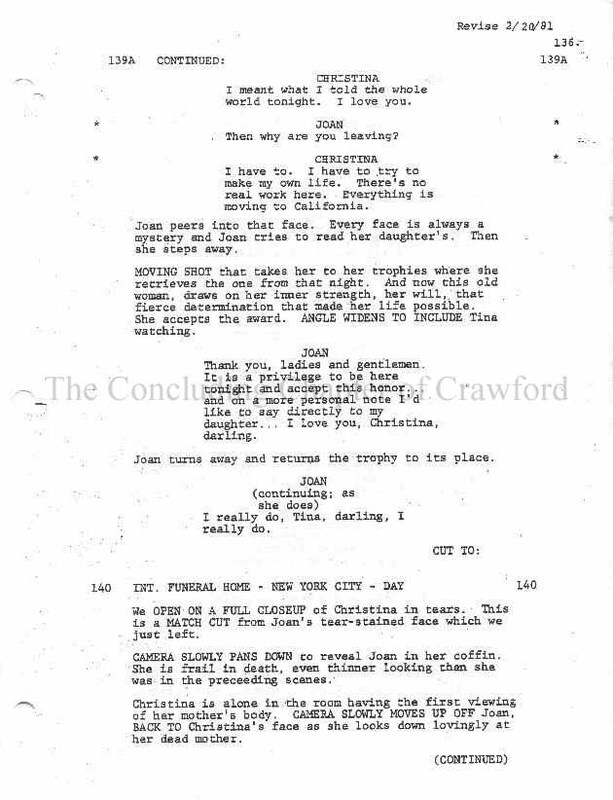 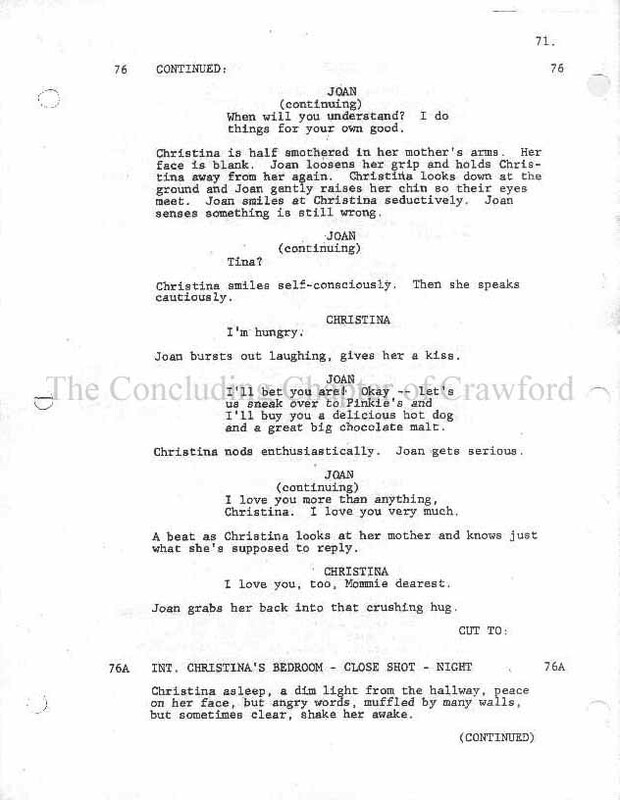 The complete shooting script of "Mommie Dearest". 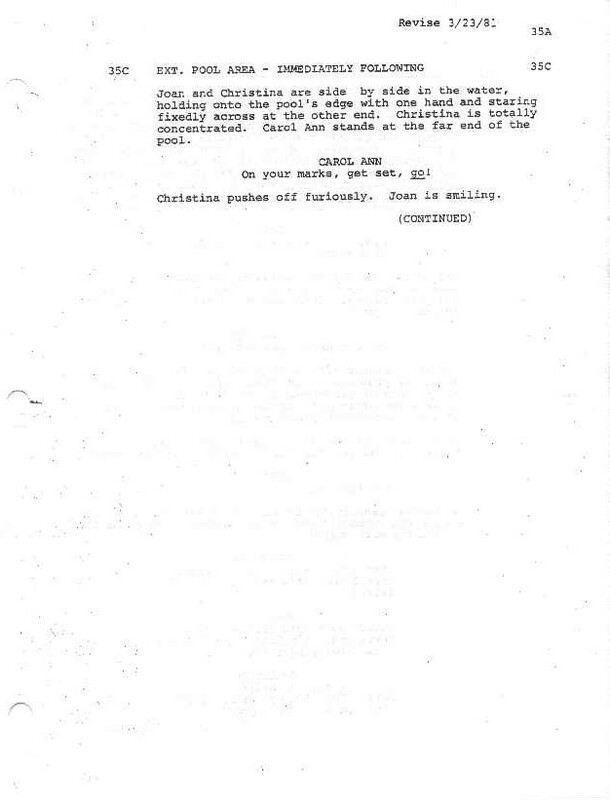 ​January 19th & 20th, 1981; February 20th, 1981; March 11th, 16th & 23rd, 1981; and on April 1st, 1981. 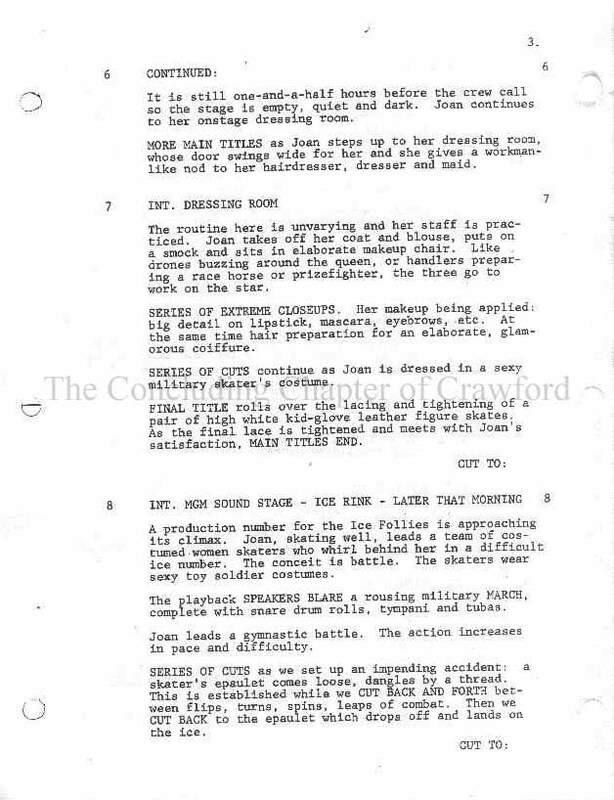 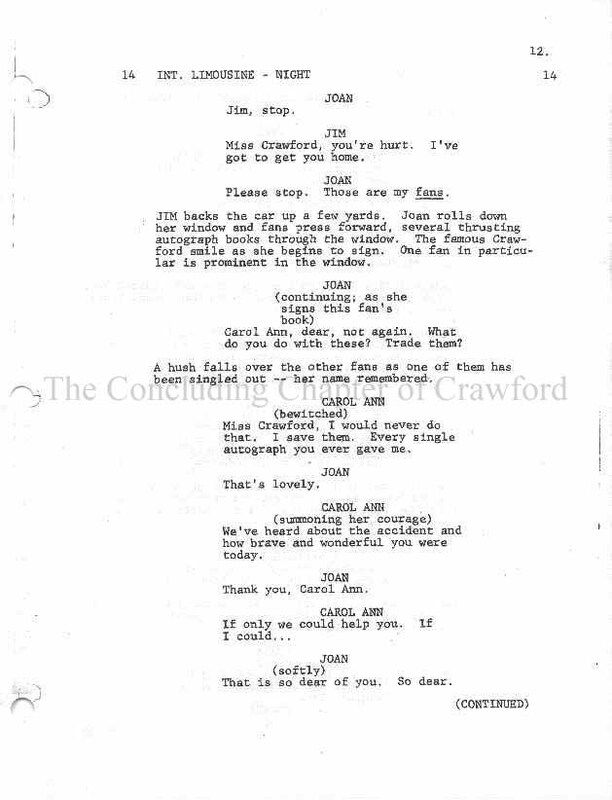 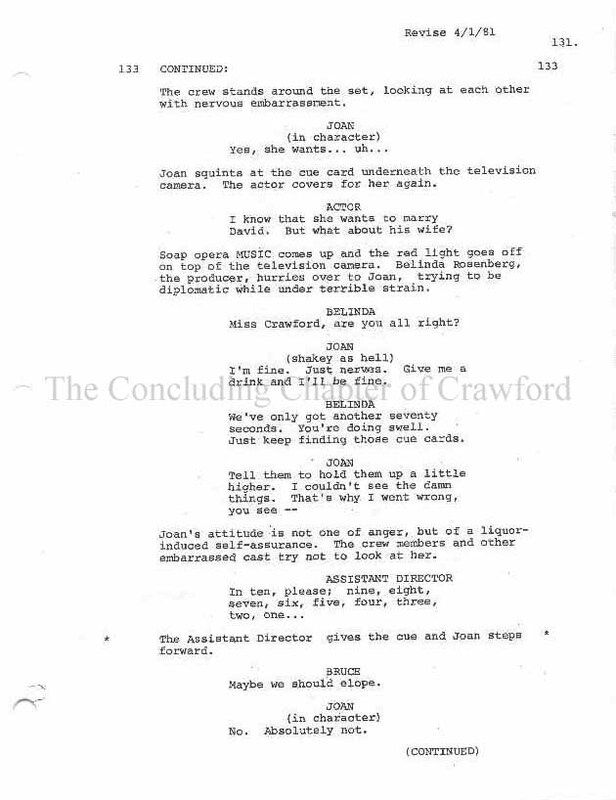 This draft was written following Faye Dunaway's replacement of actress Anne Bancroft in the role of "Joan Crawford". 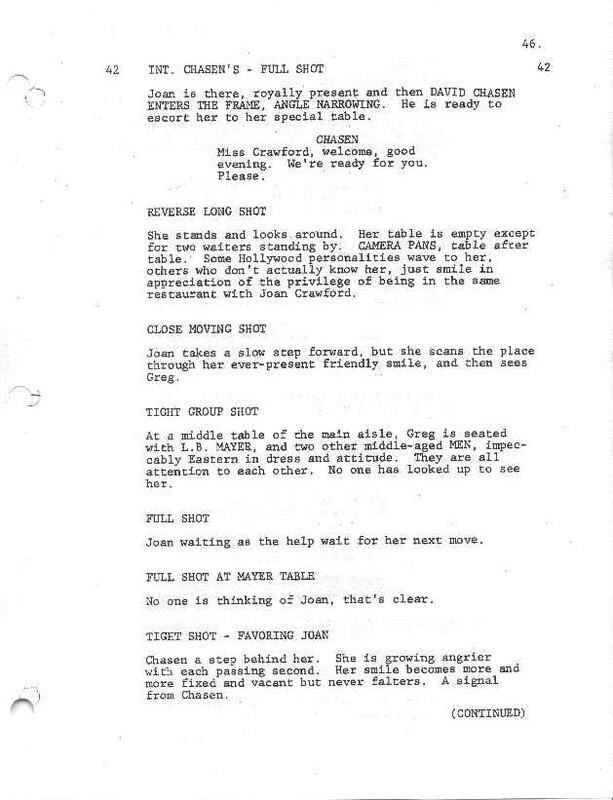 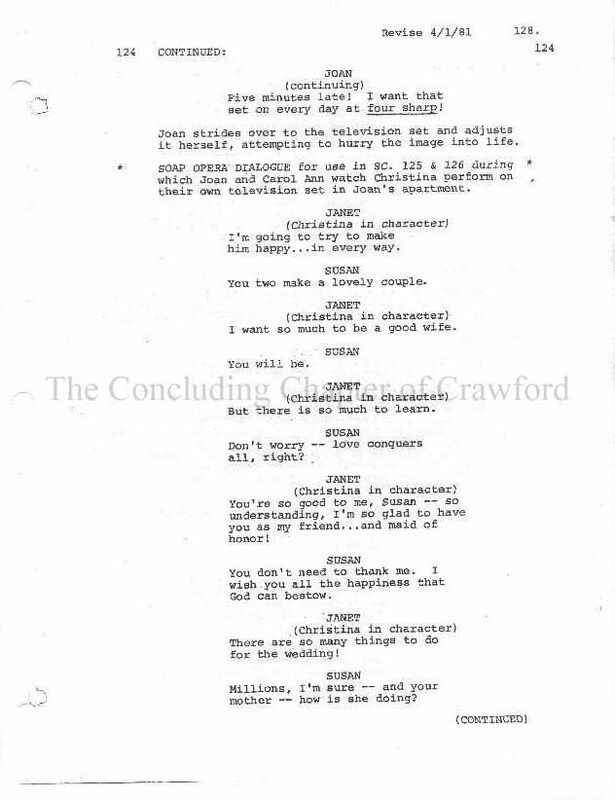 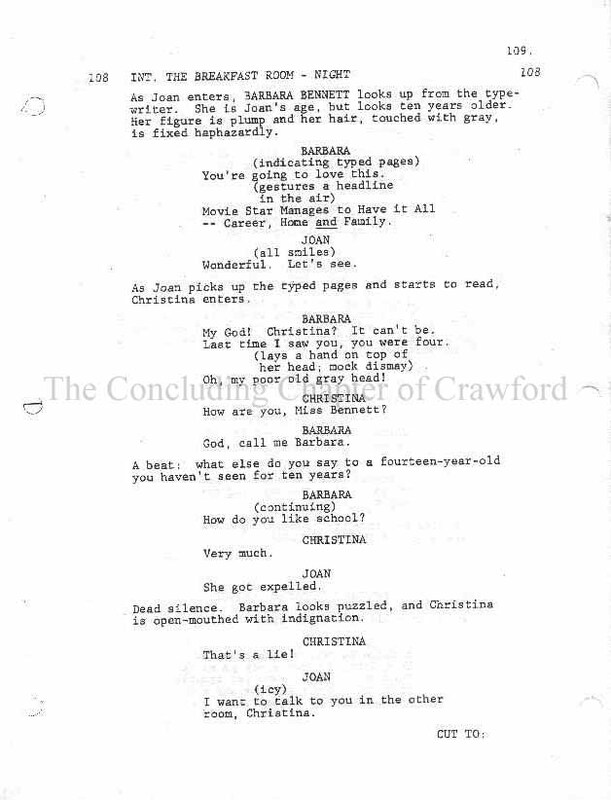 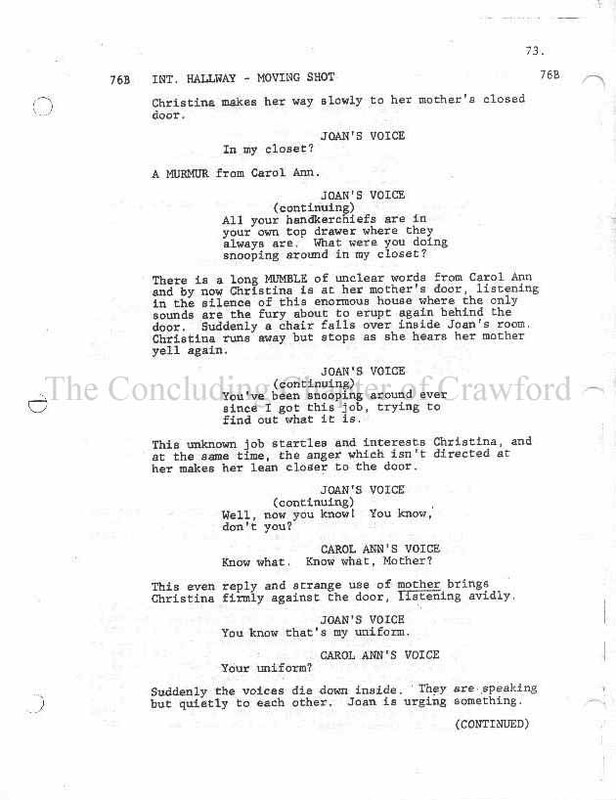 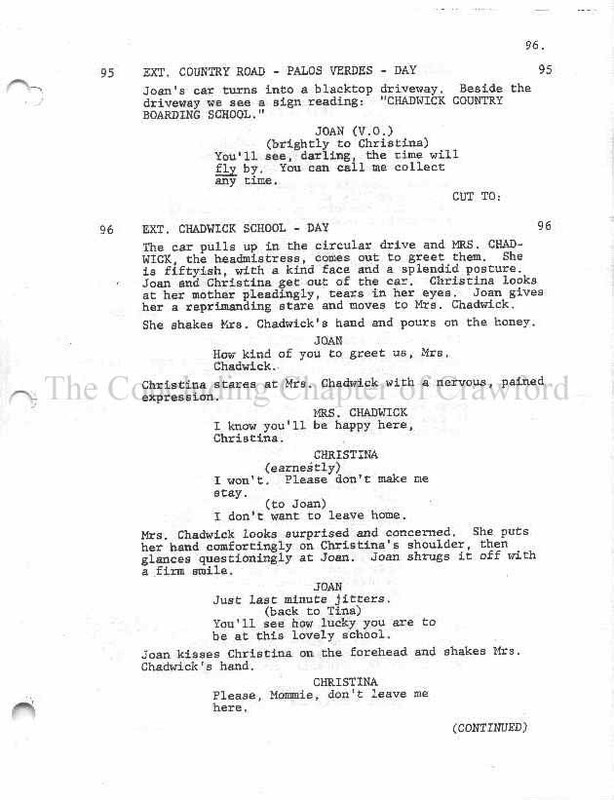 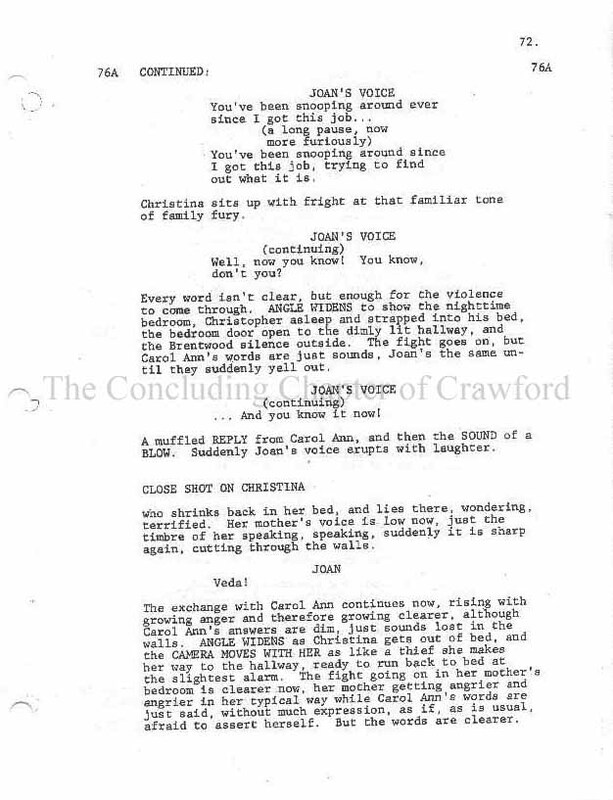 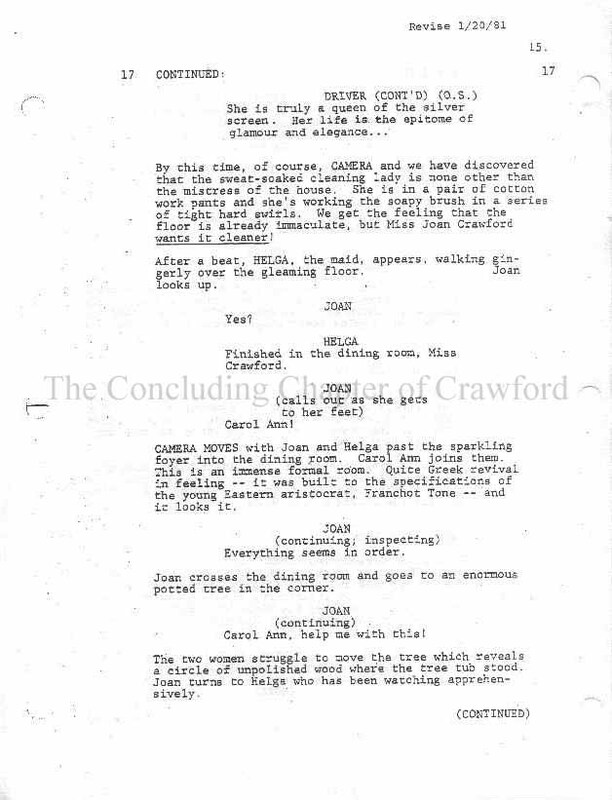 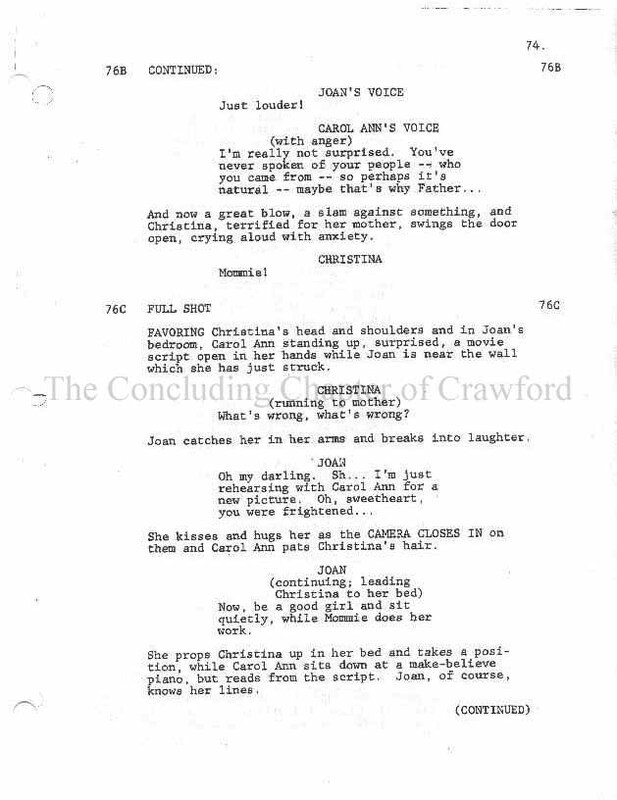 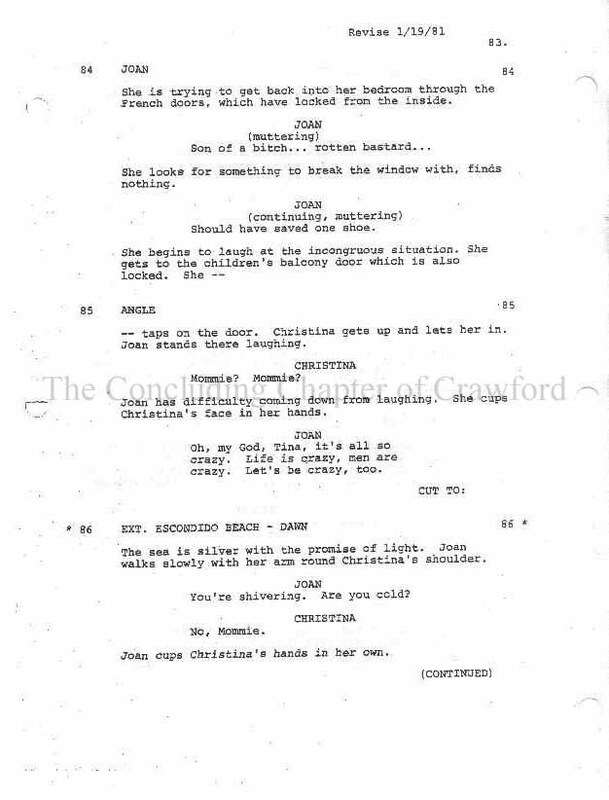 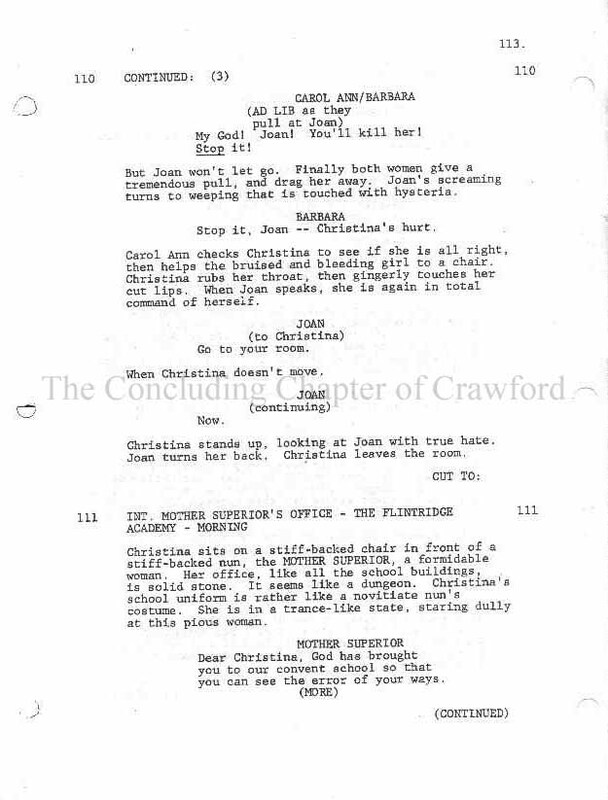 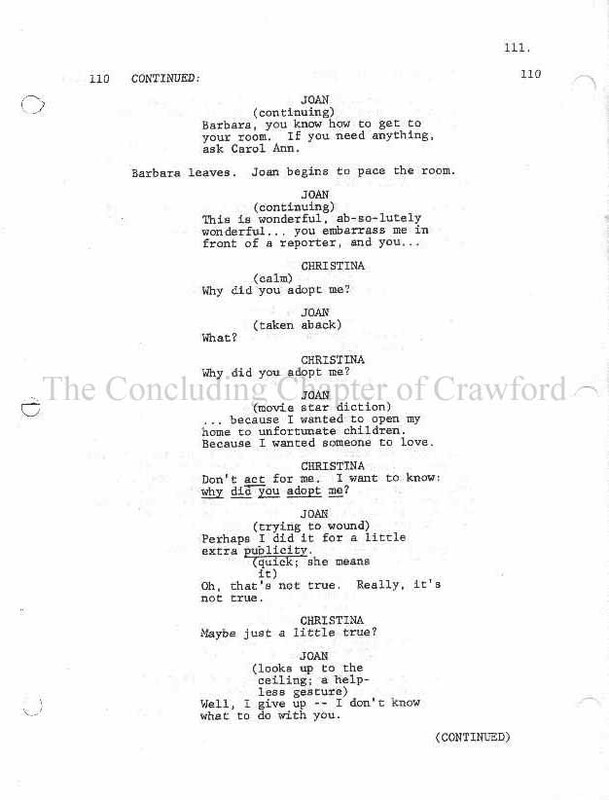 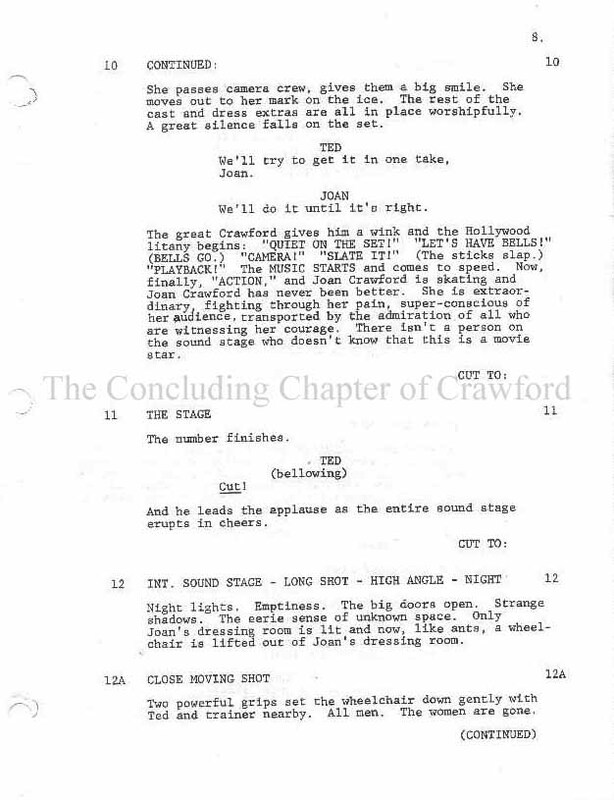 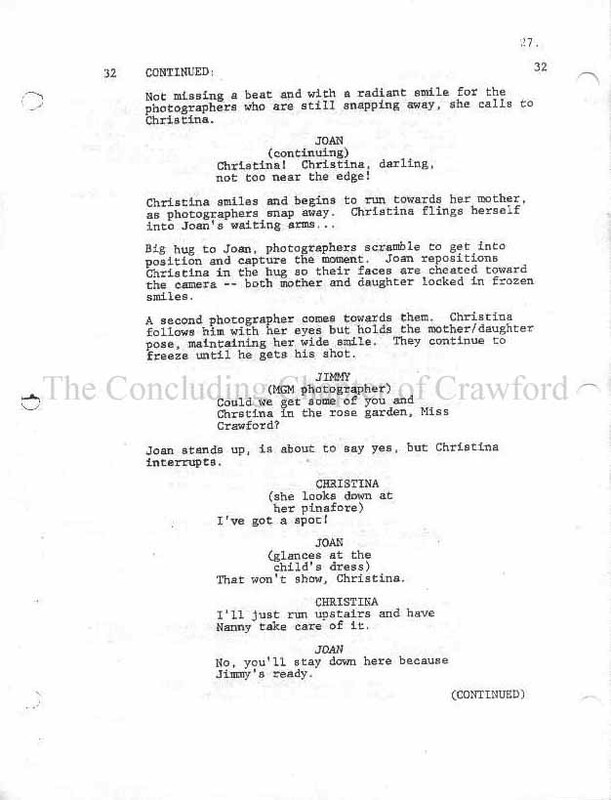 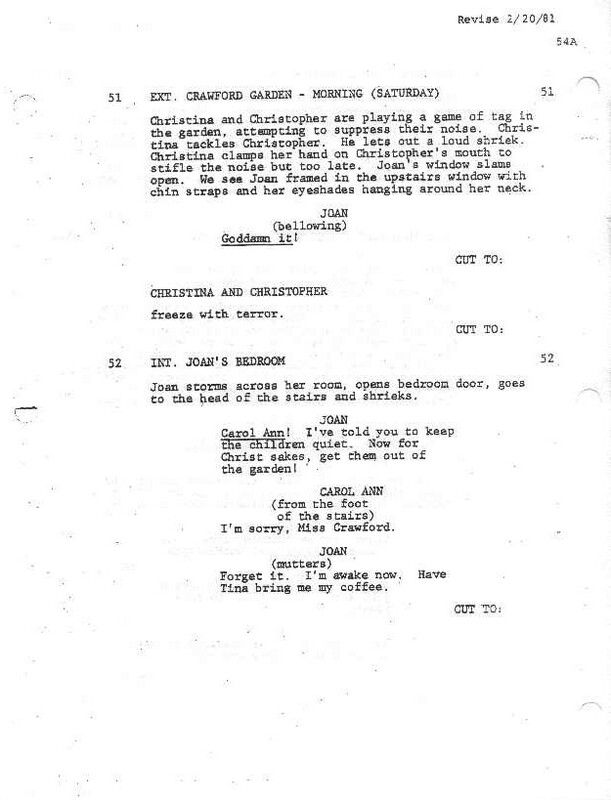 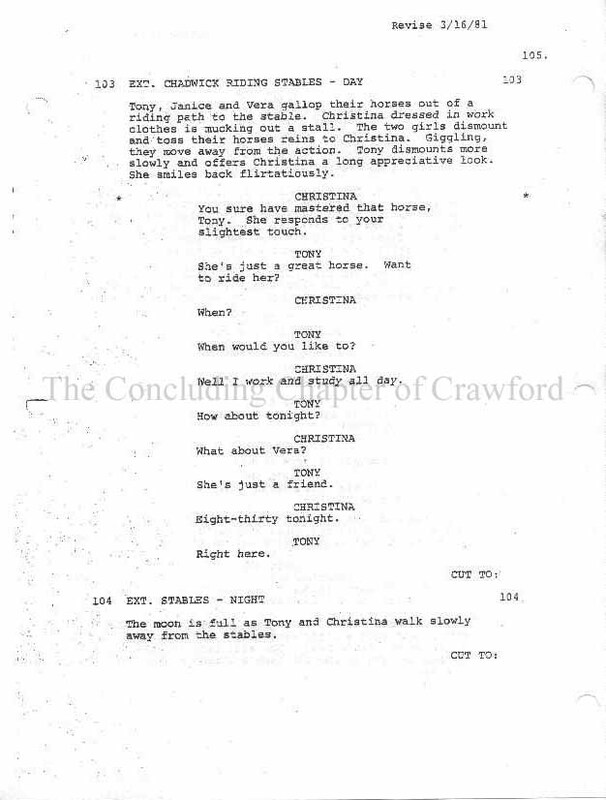 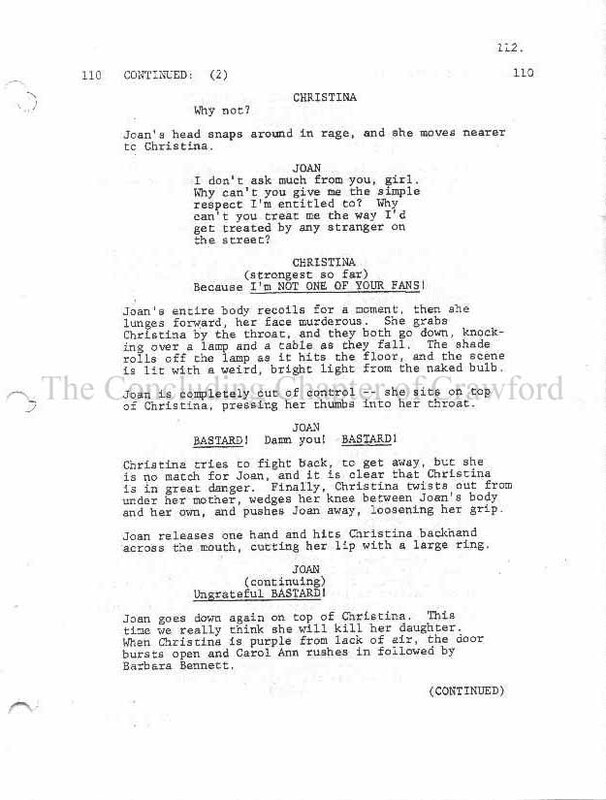 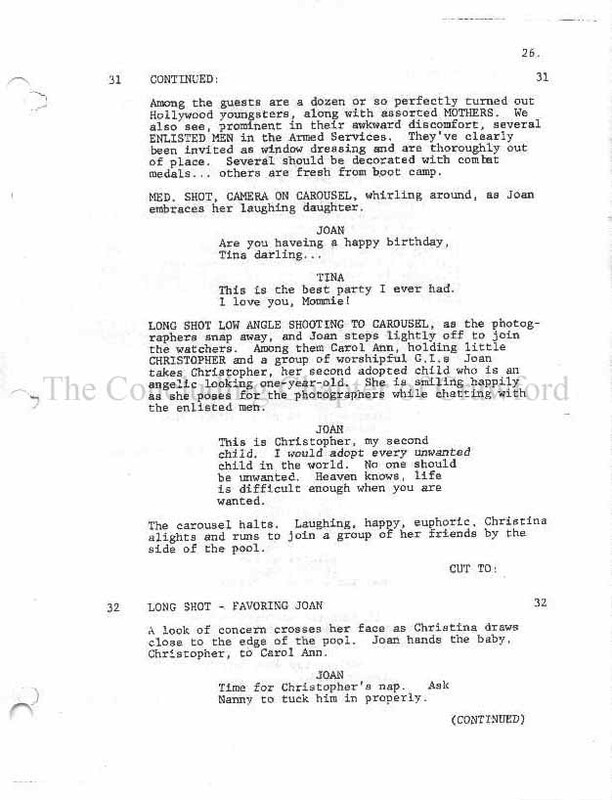 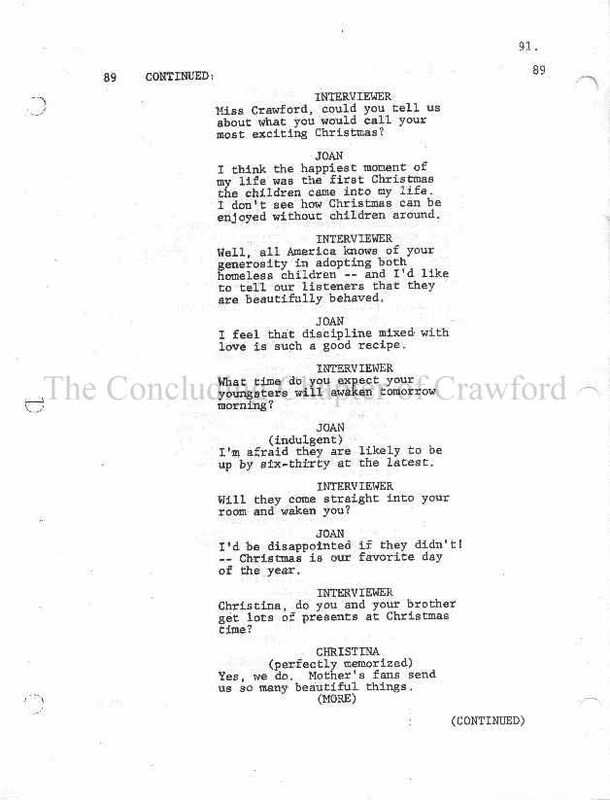 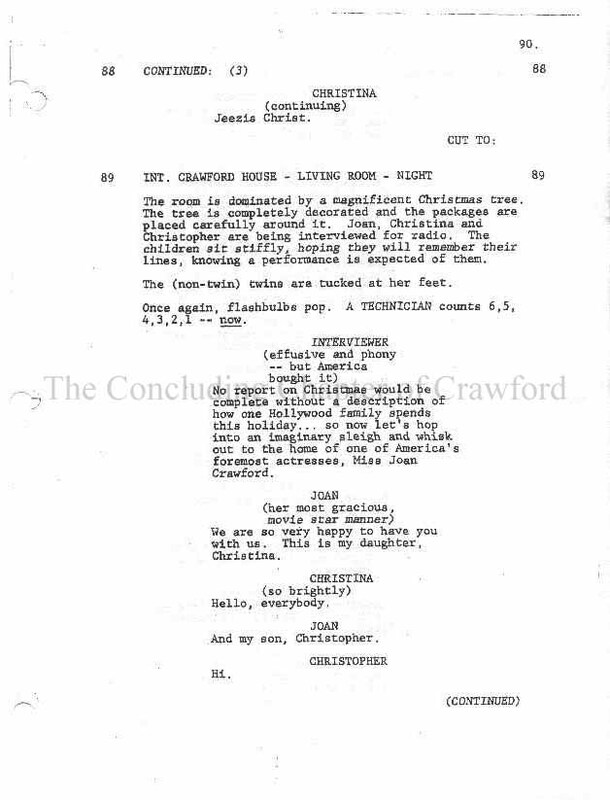 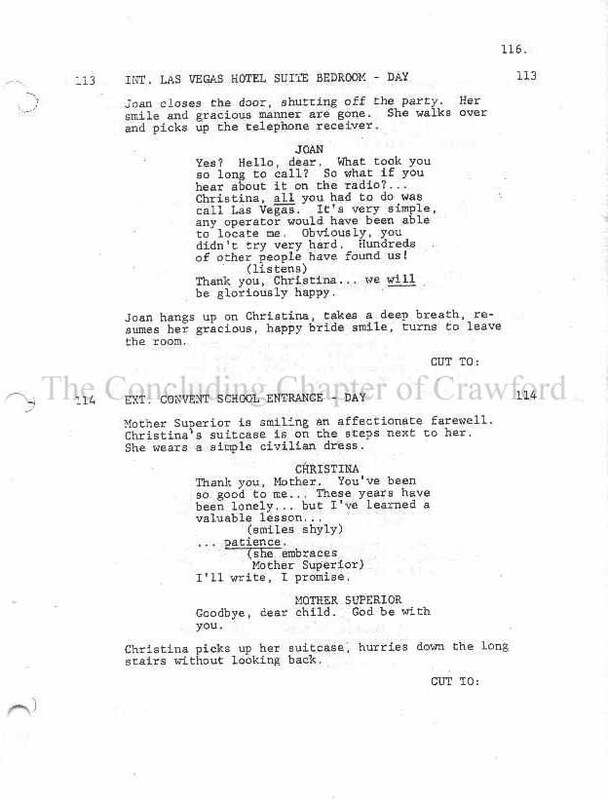 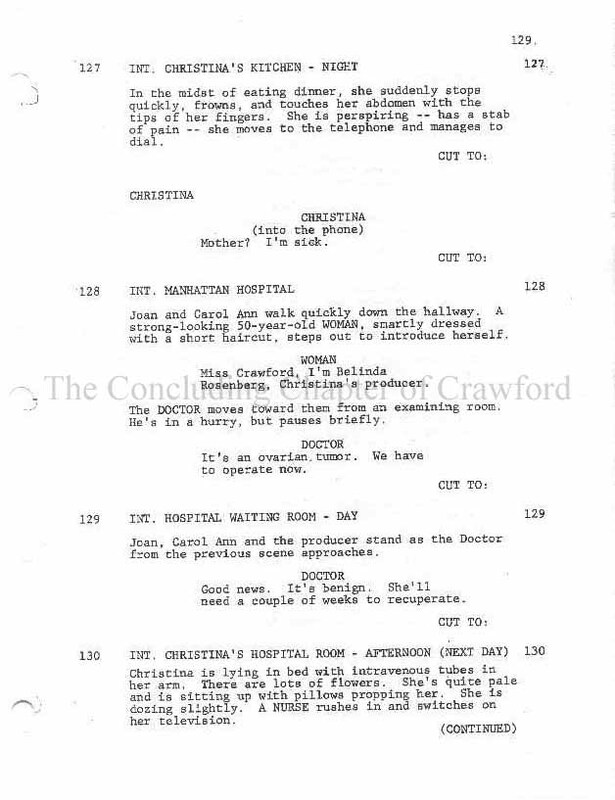 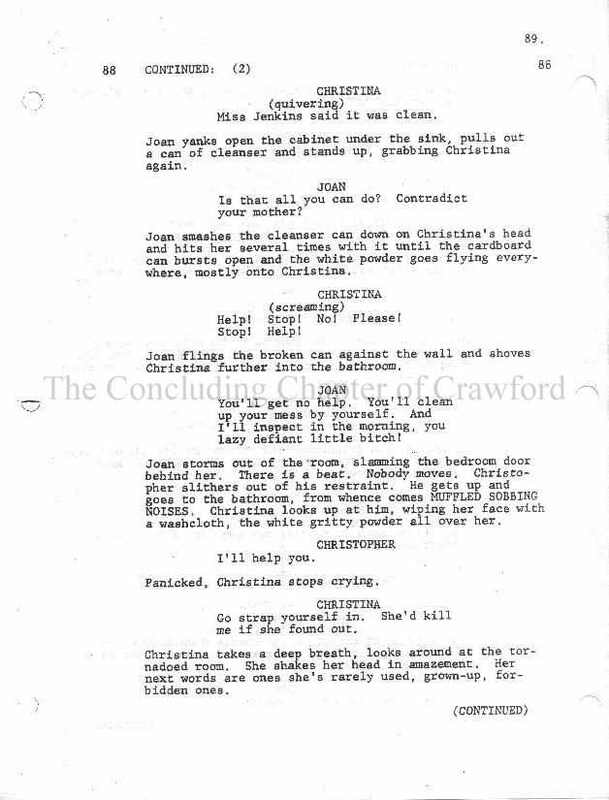 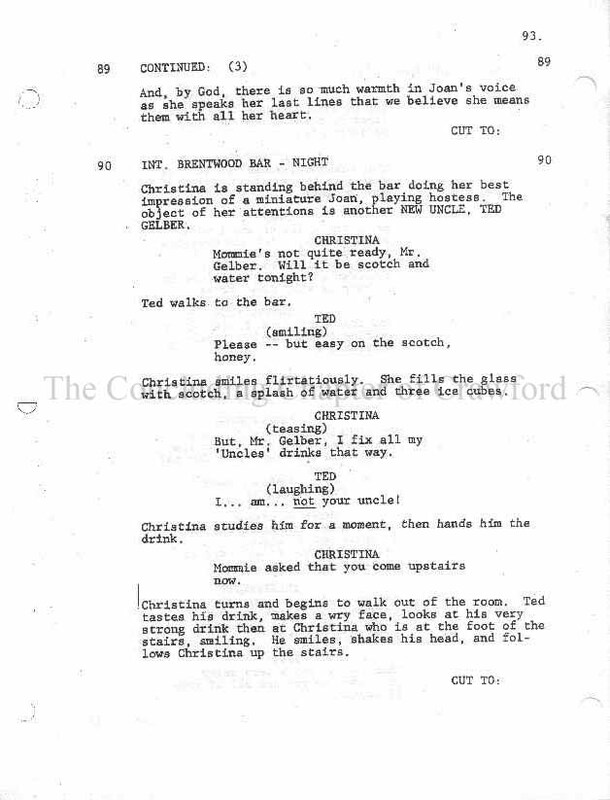 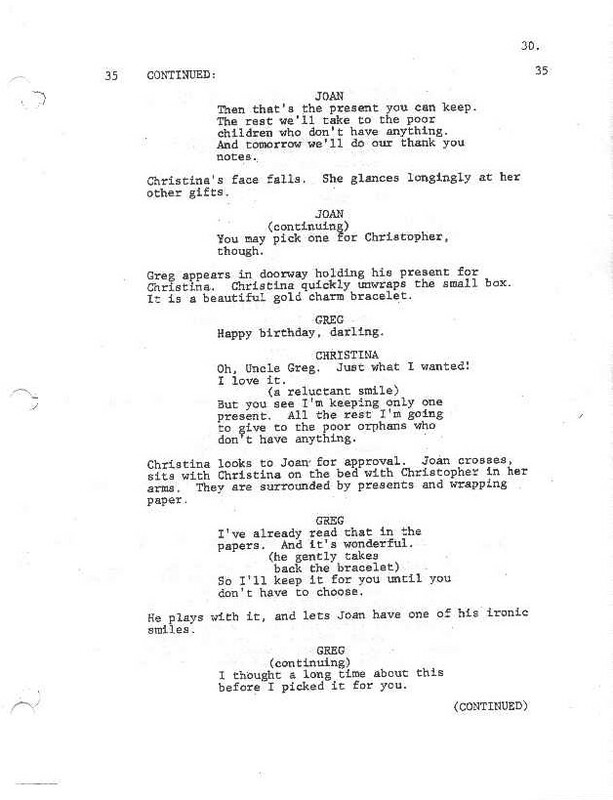 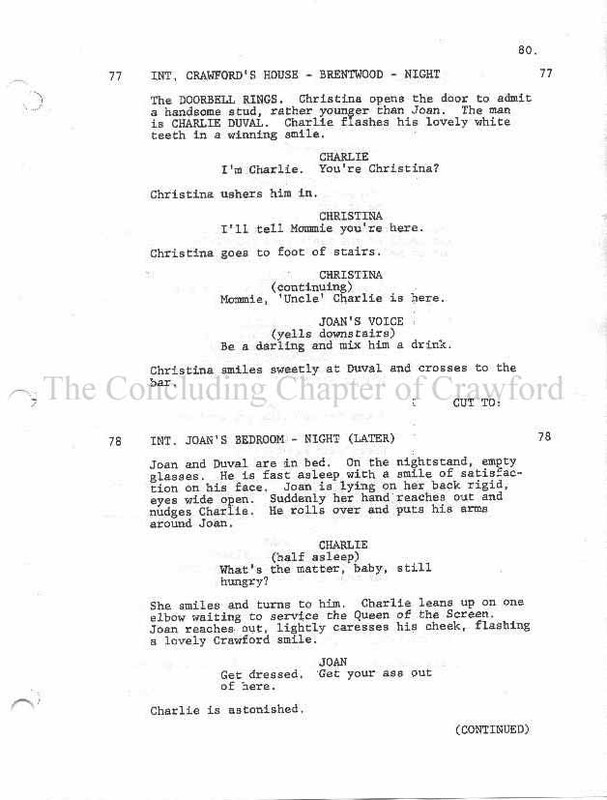 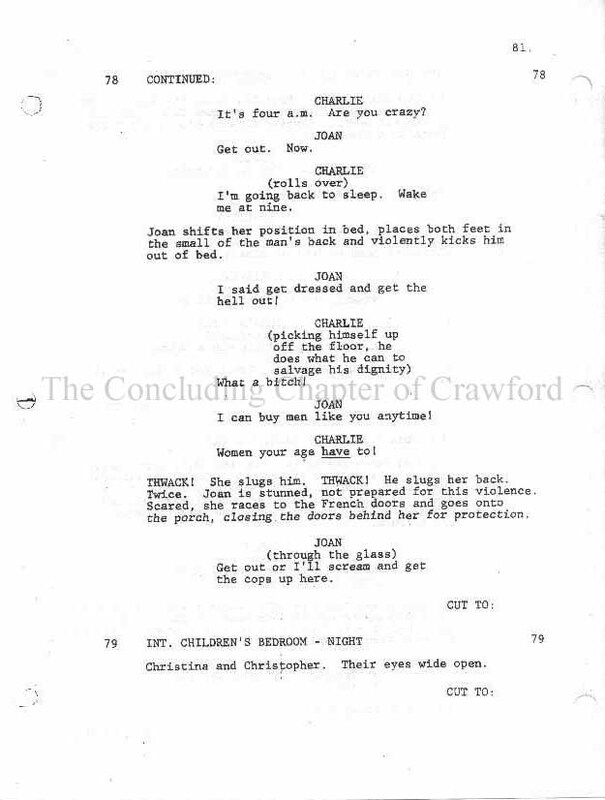 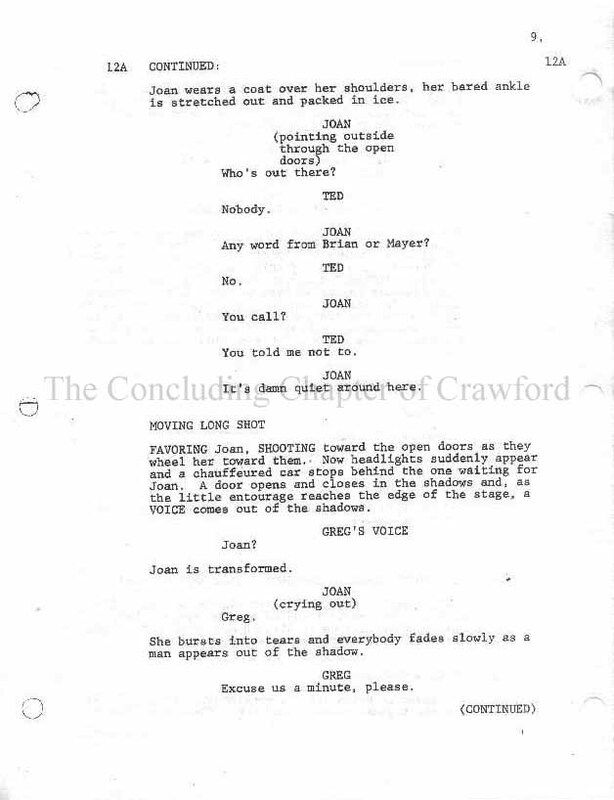 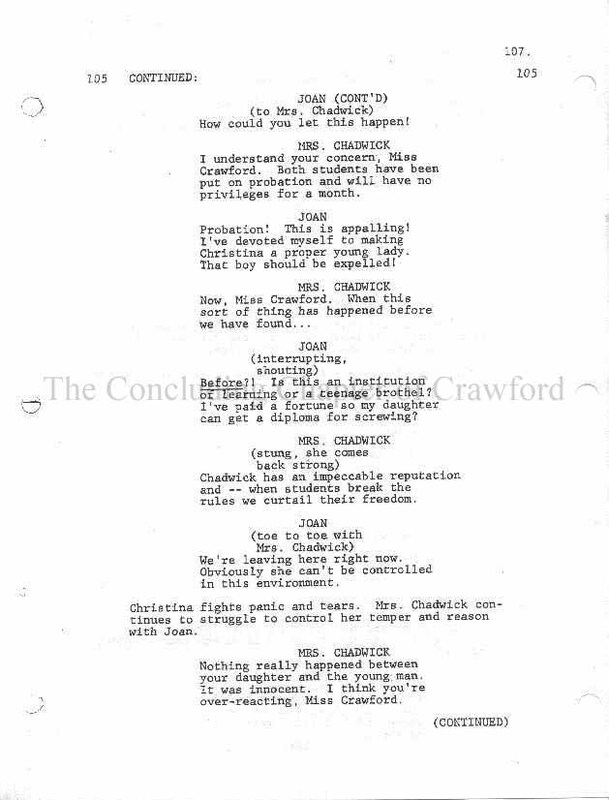 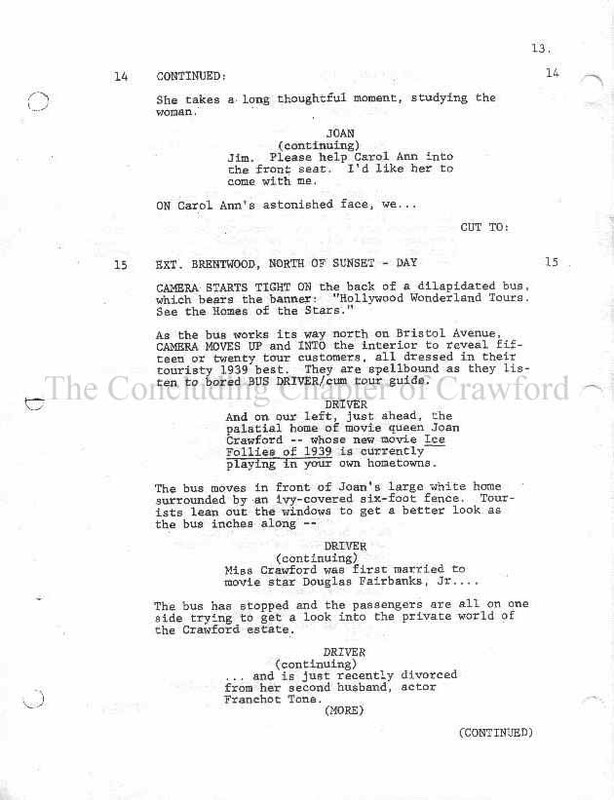 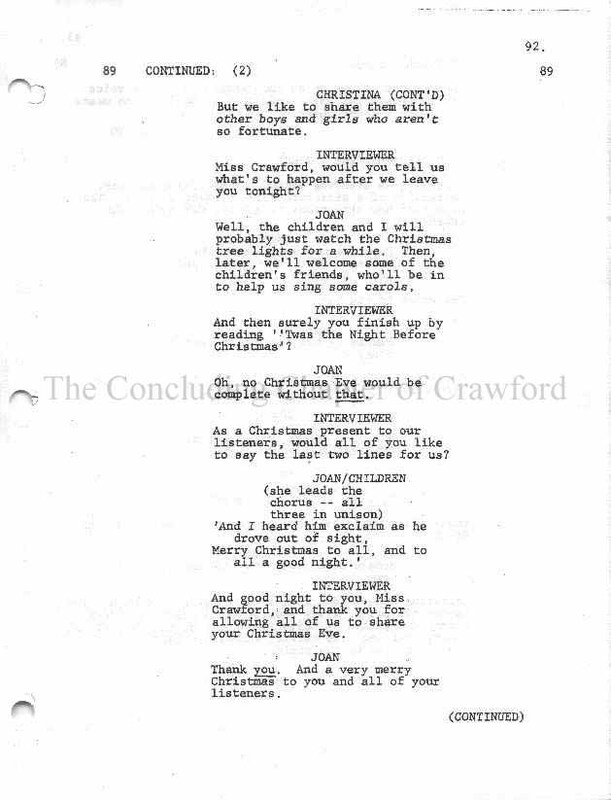 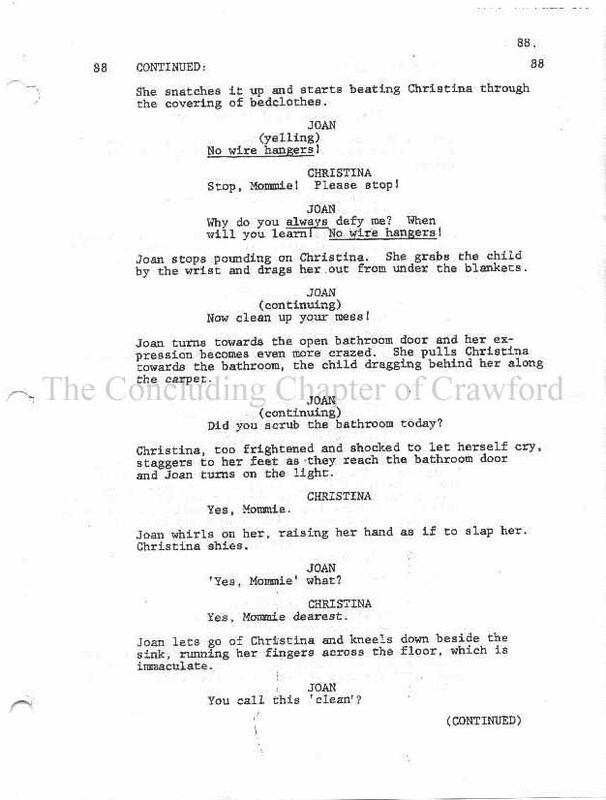 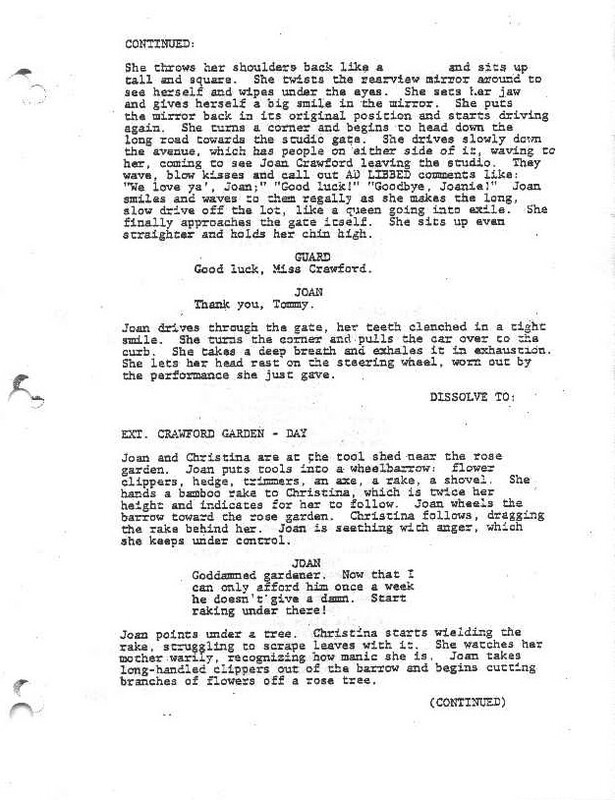 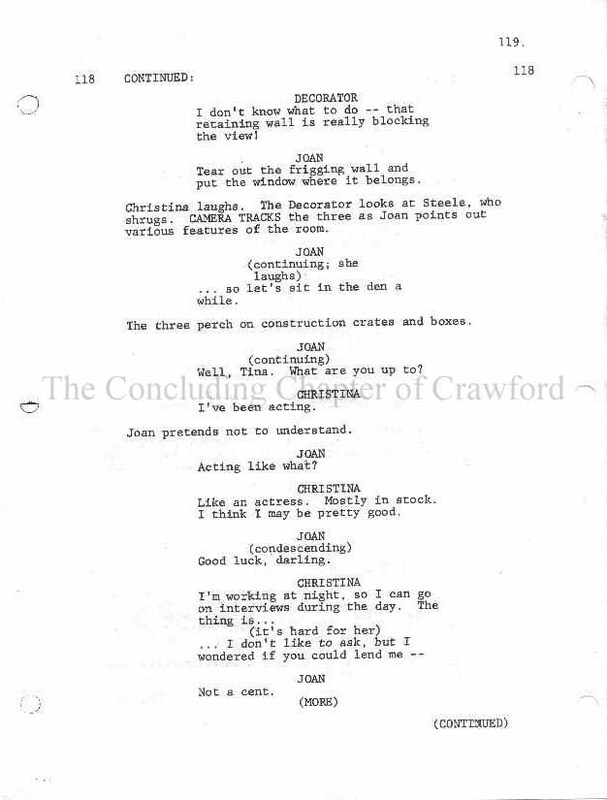 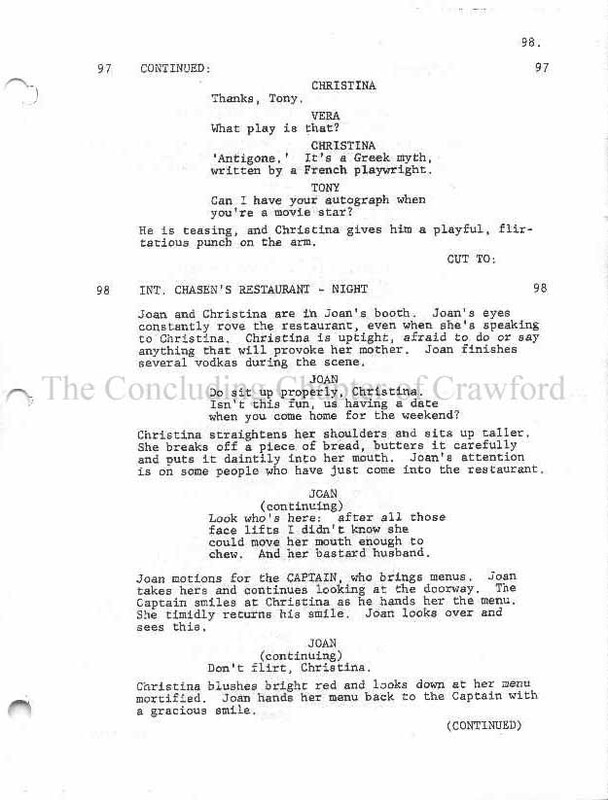 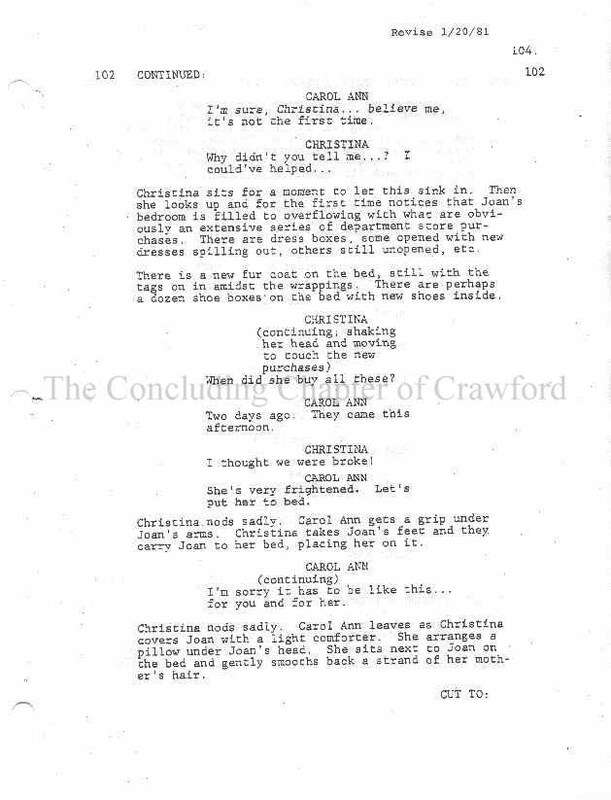 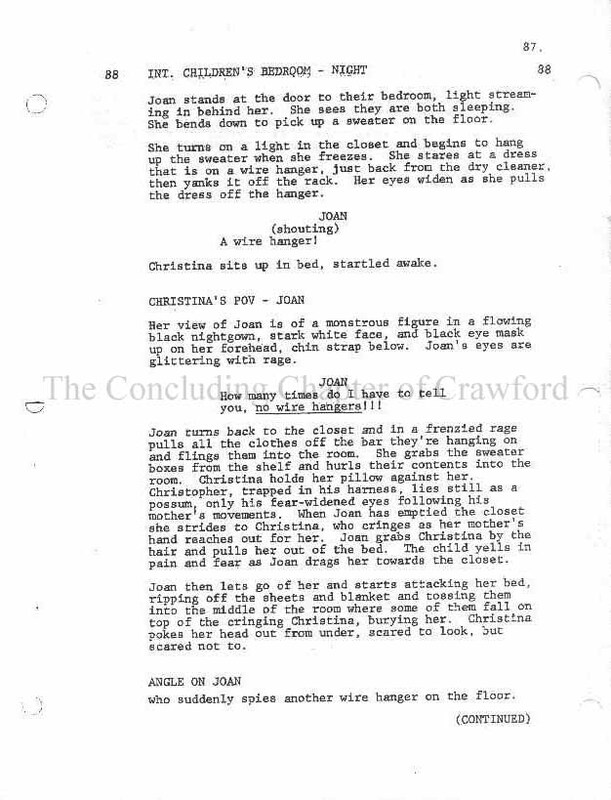 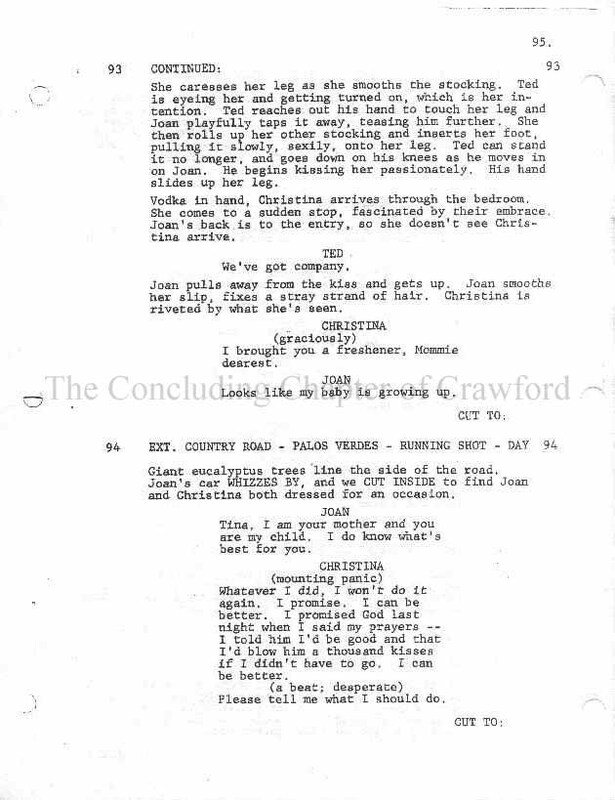 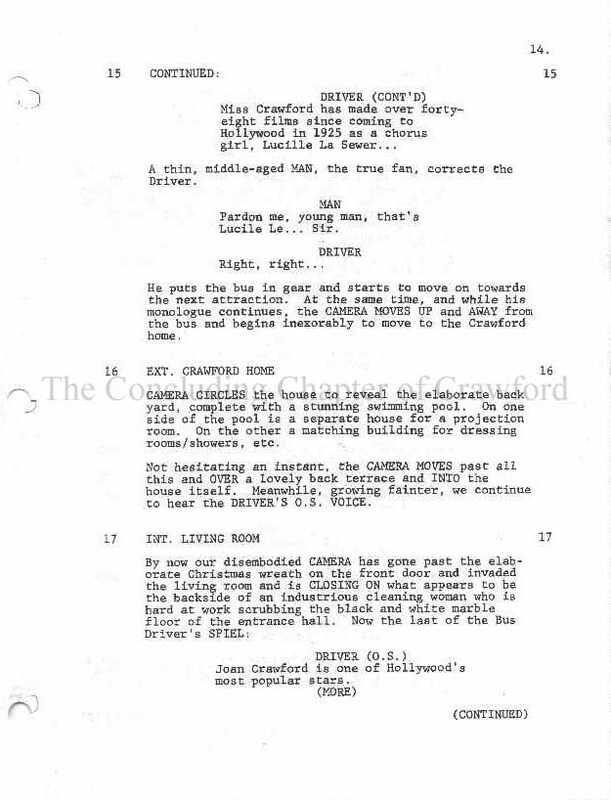 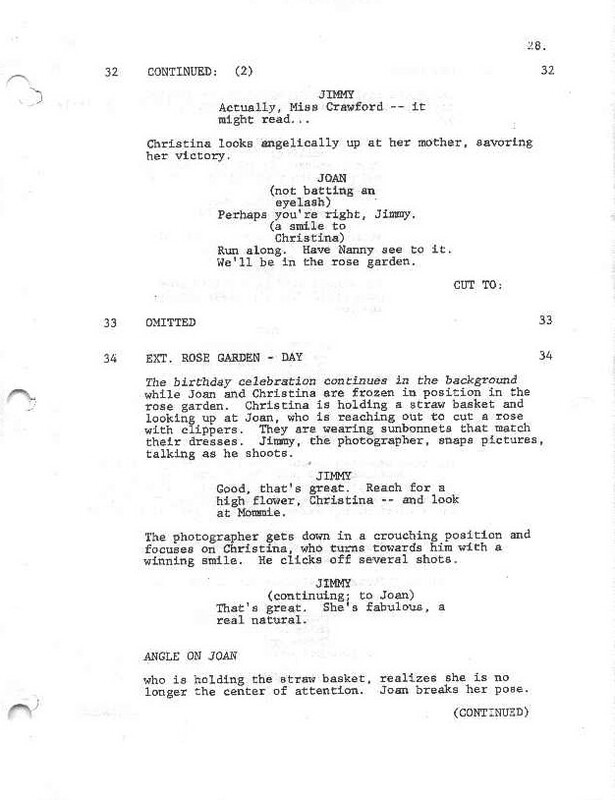 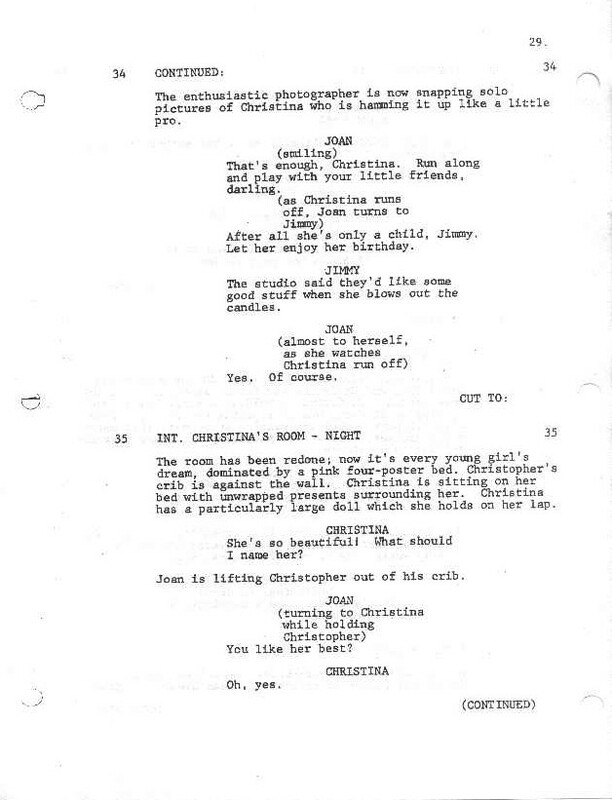 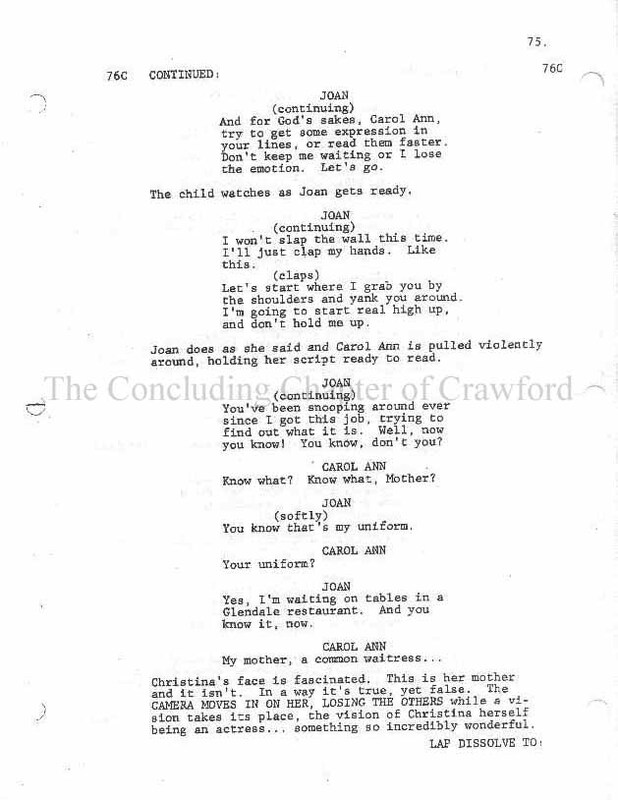 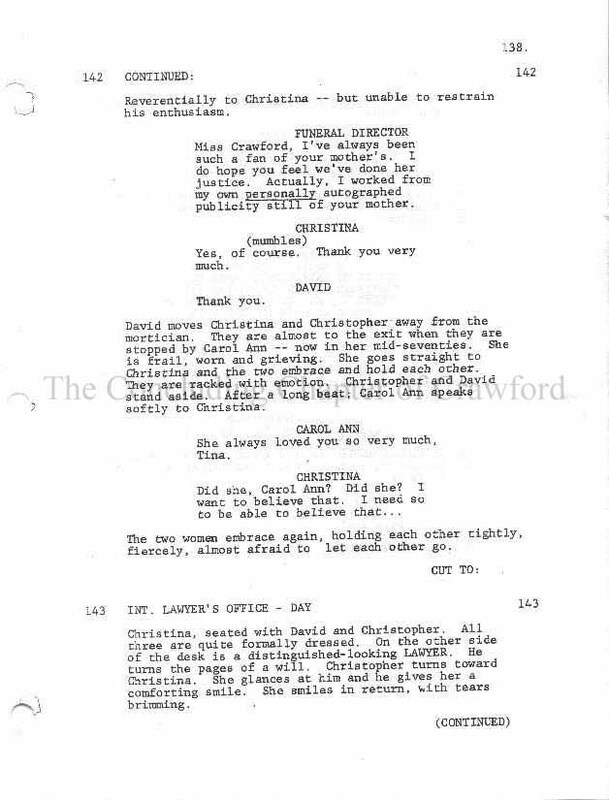 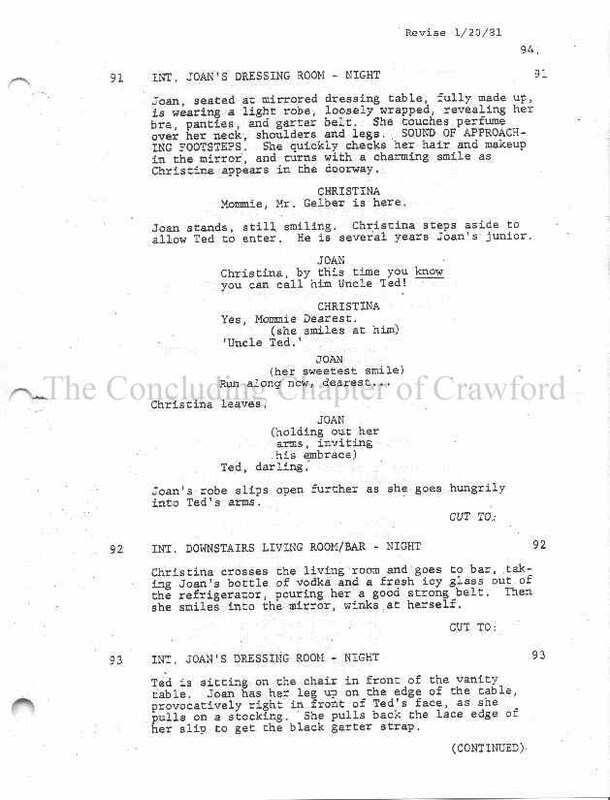 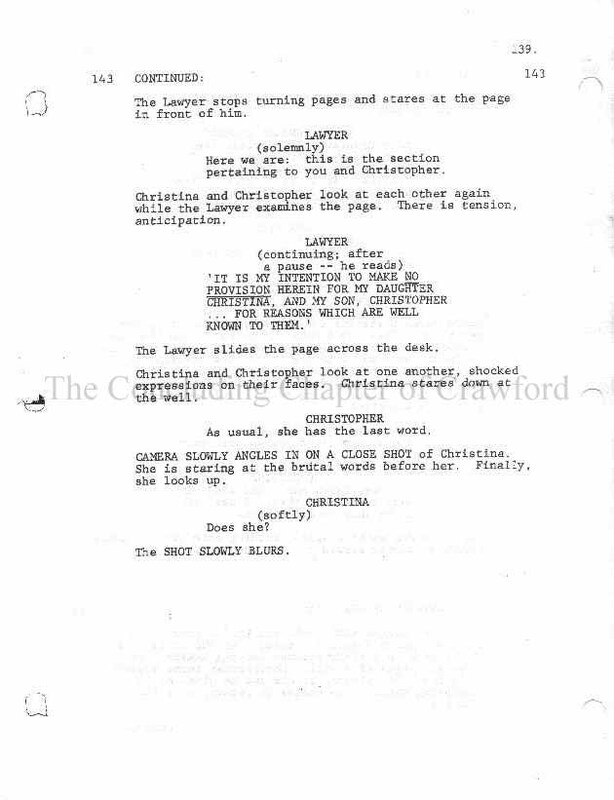 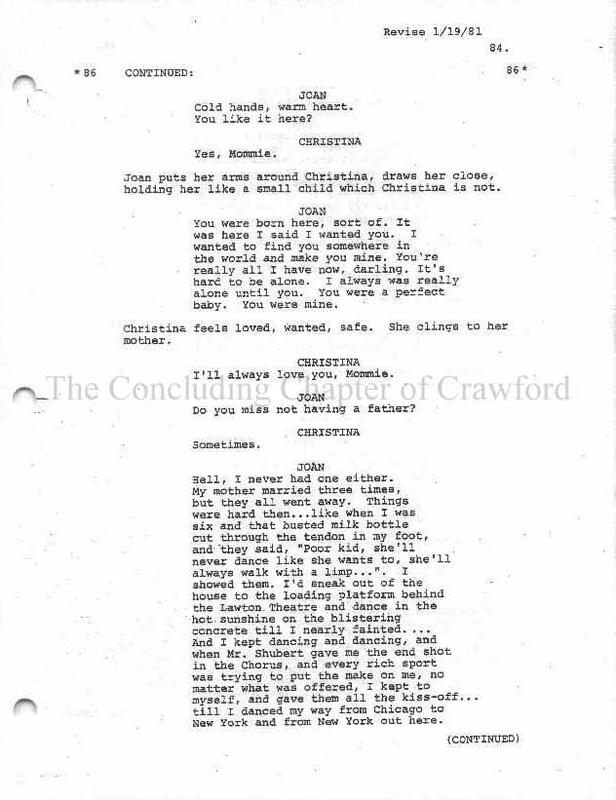 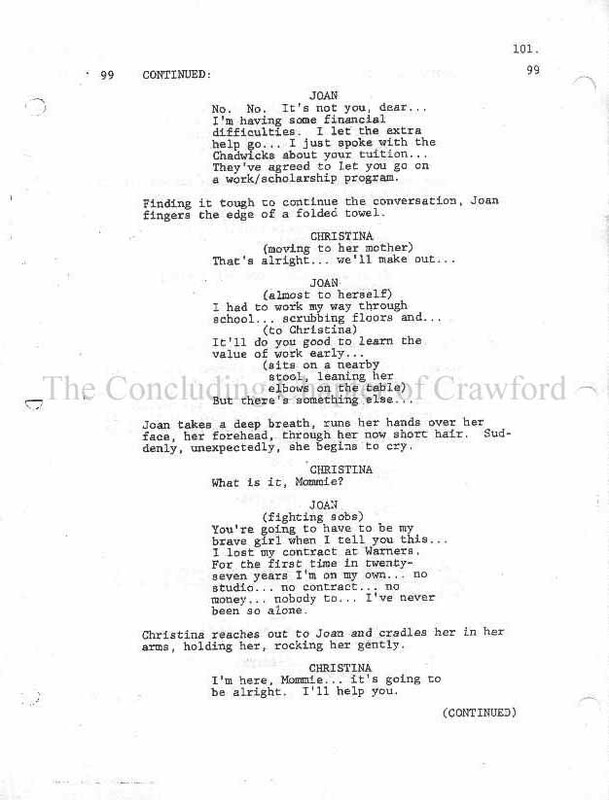 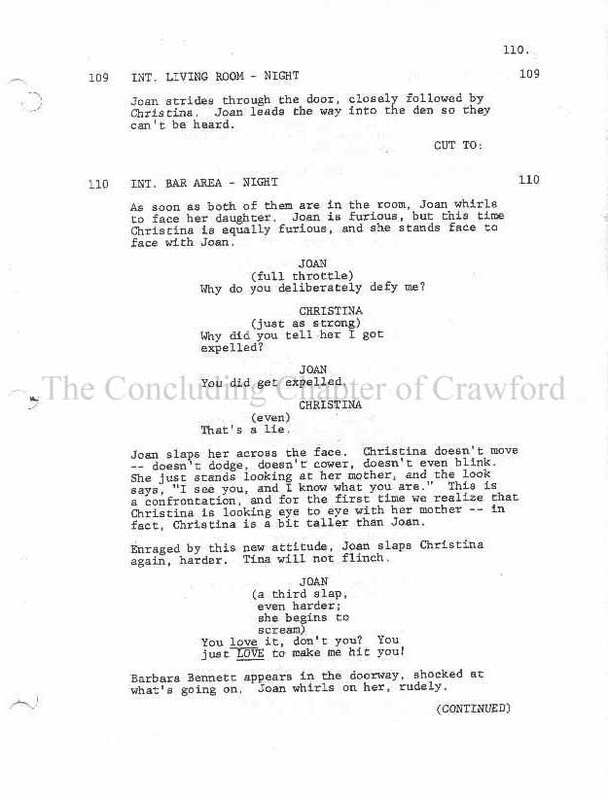 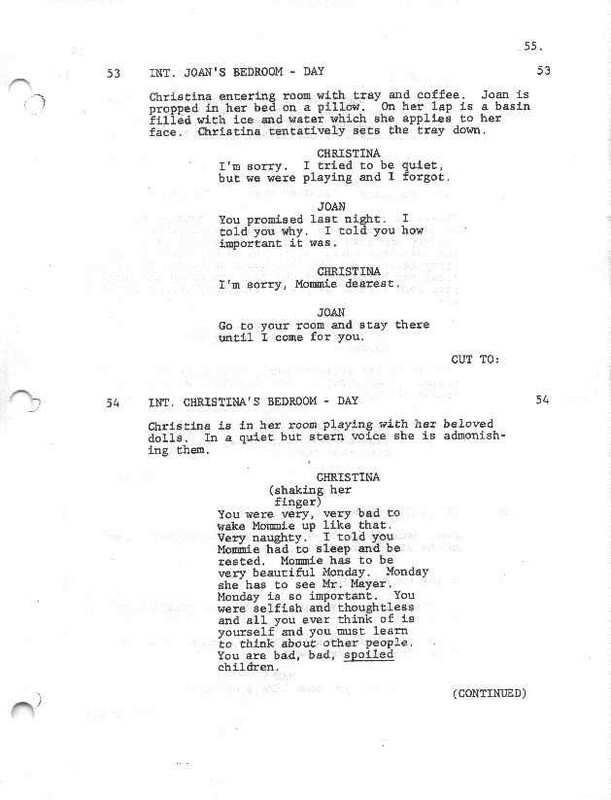 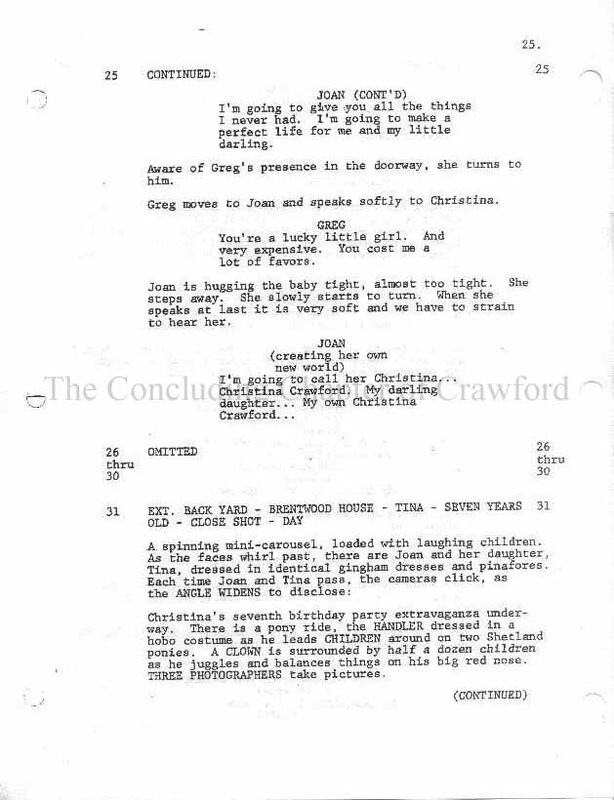 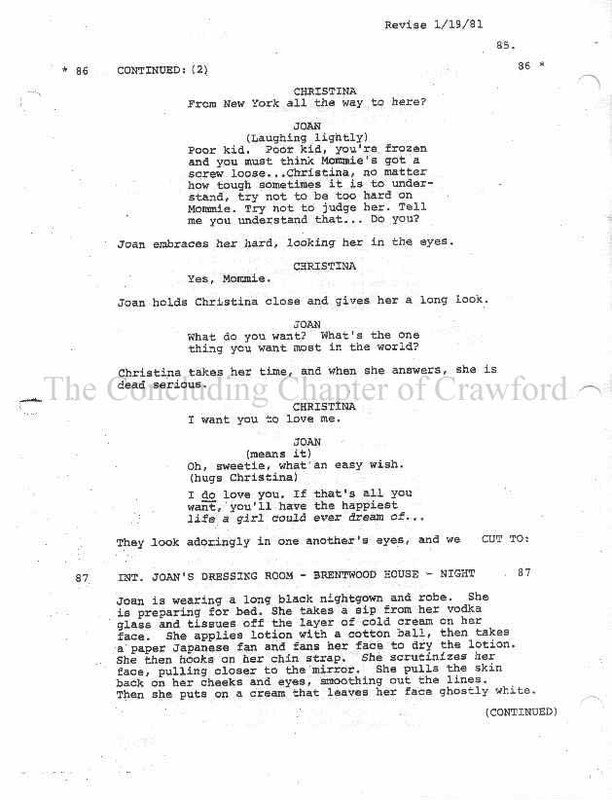 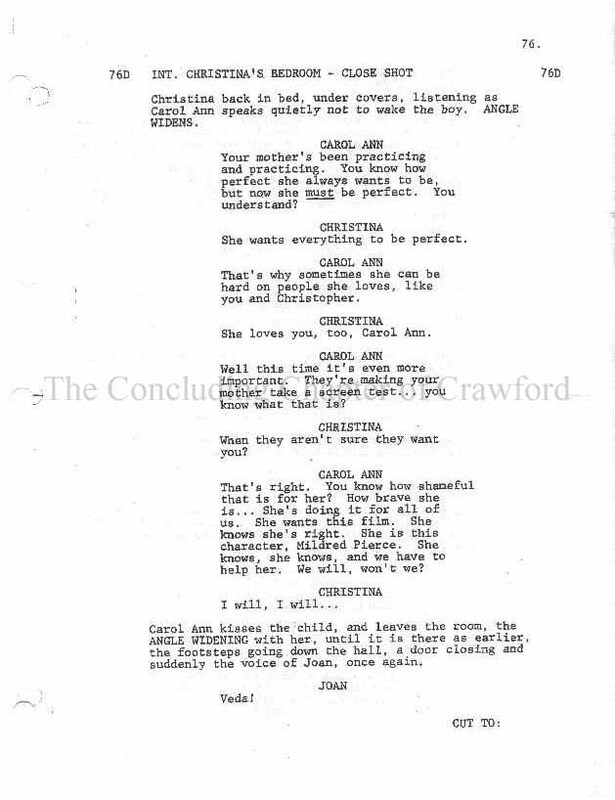 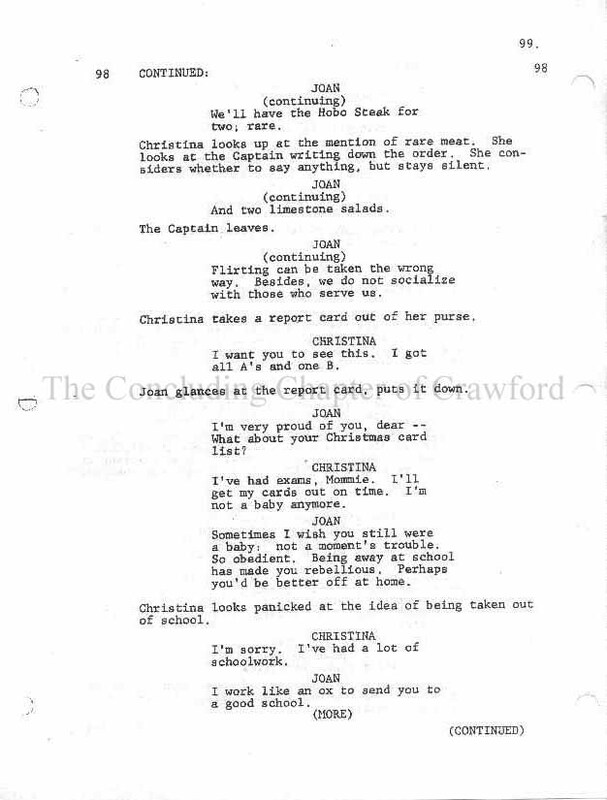 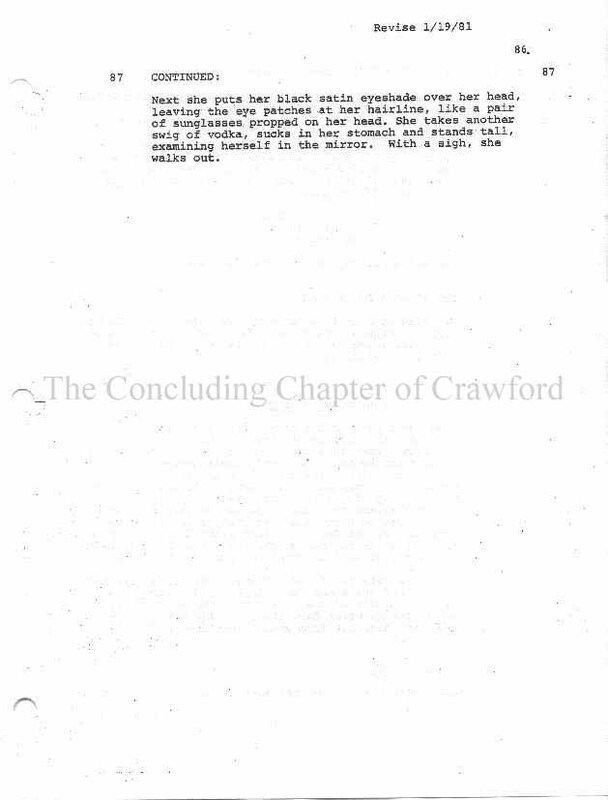 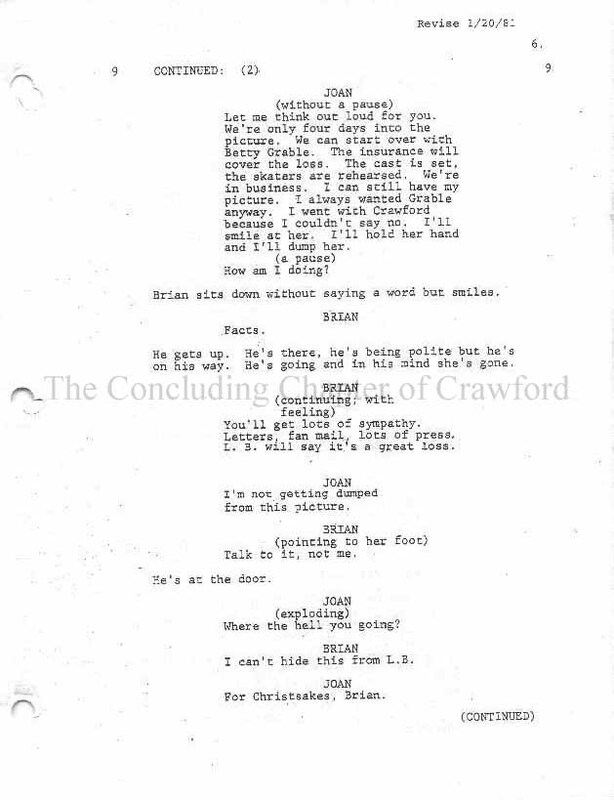 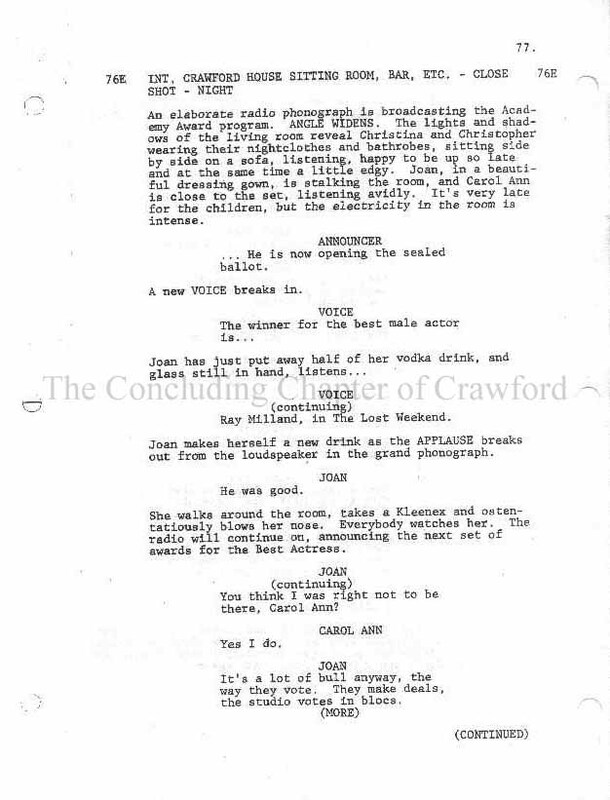 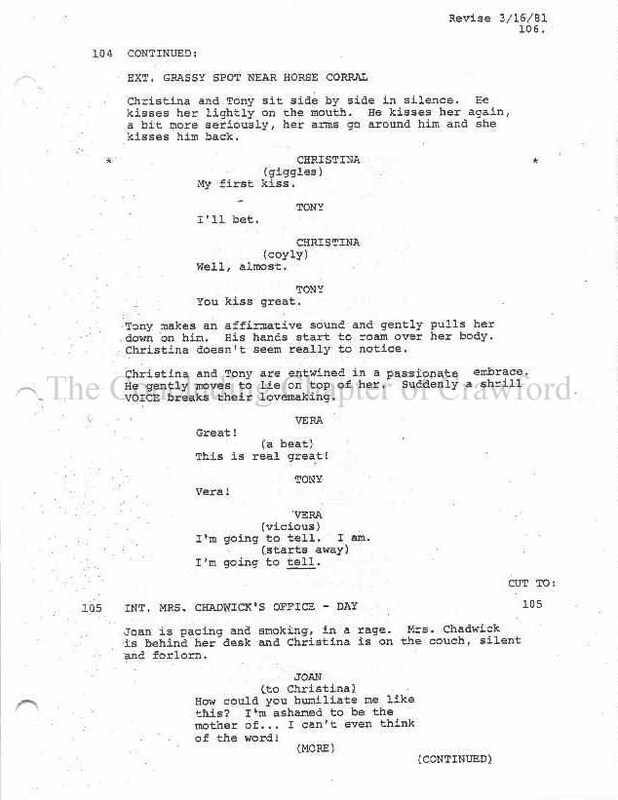 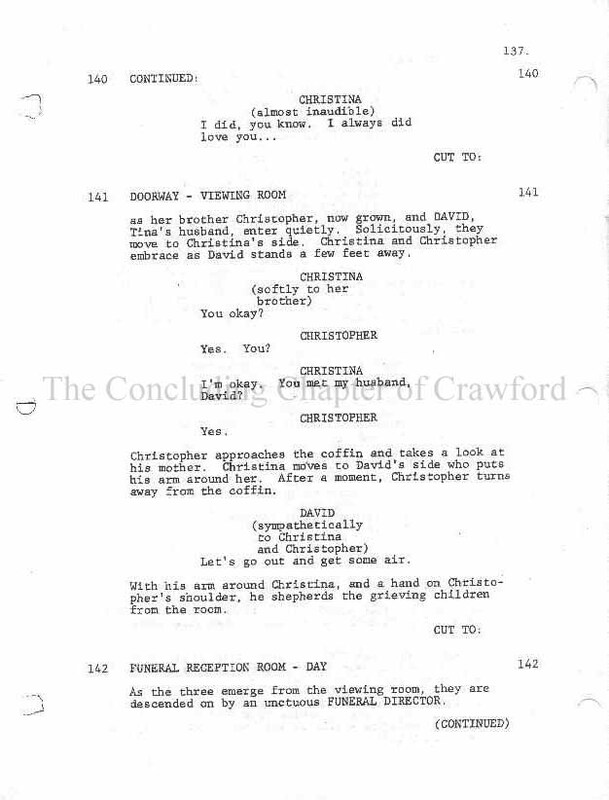 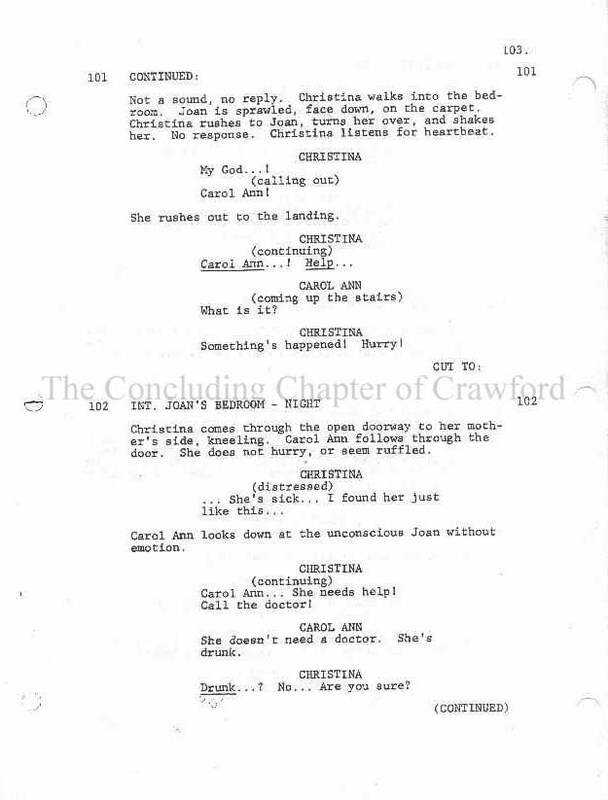 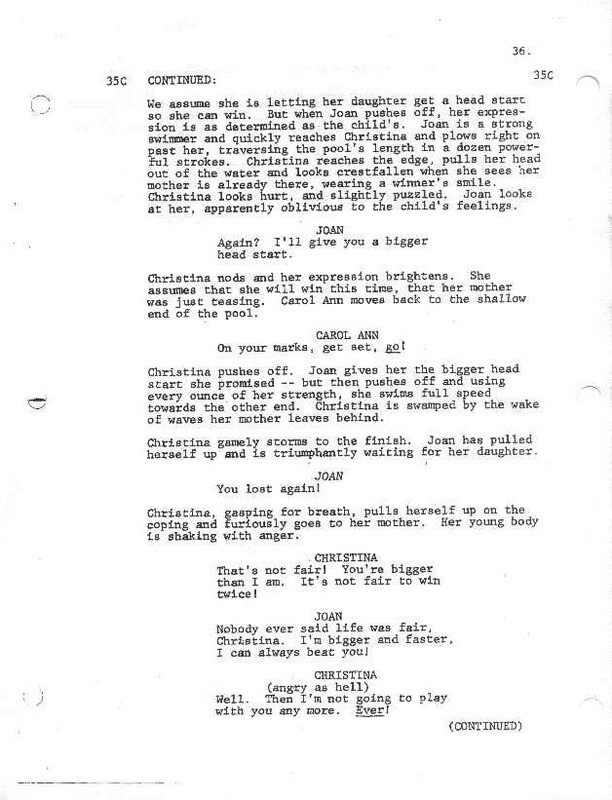 Prior to this draft, several screenplays had been written for the film, including drafts by Christina Crawford. 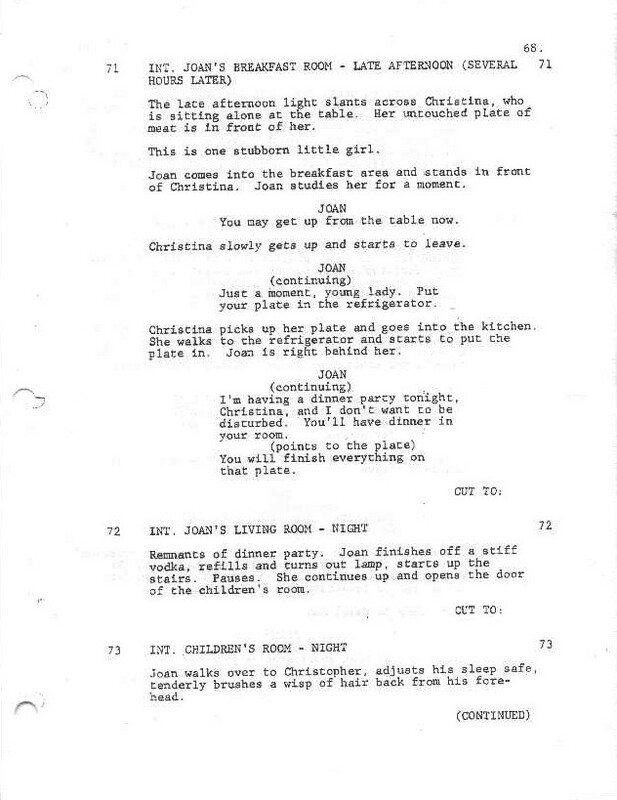 Highlighted in RED are scenes that are alternate or extended from the scenes presented in the finished film. 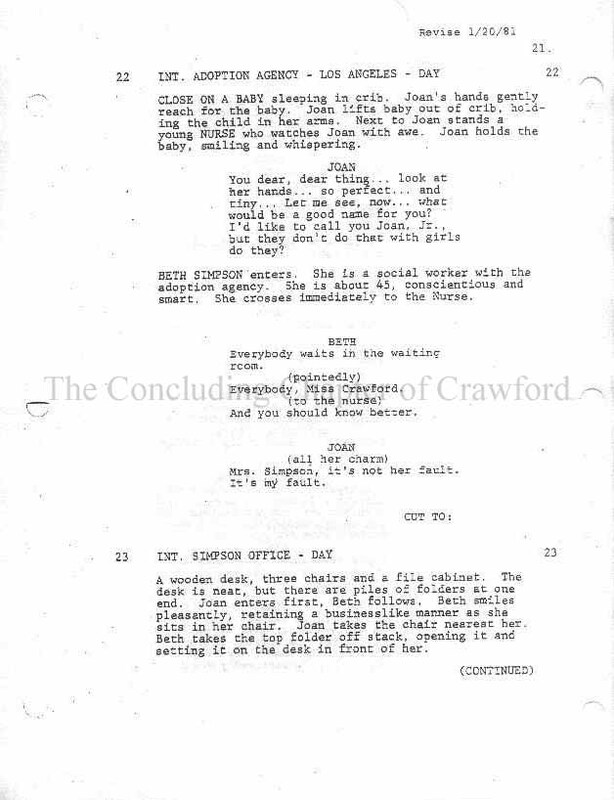 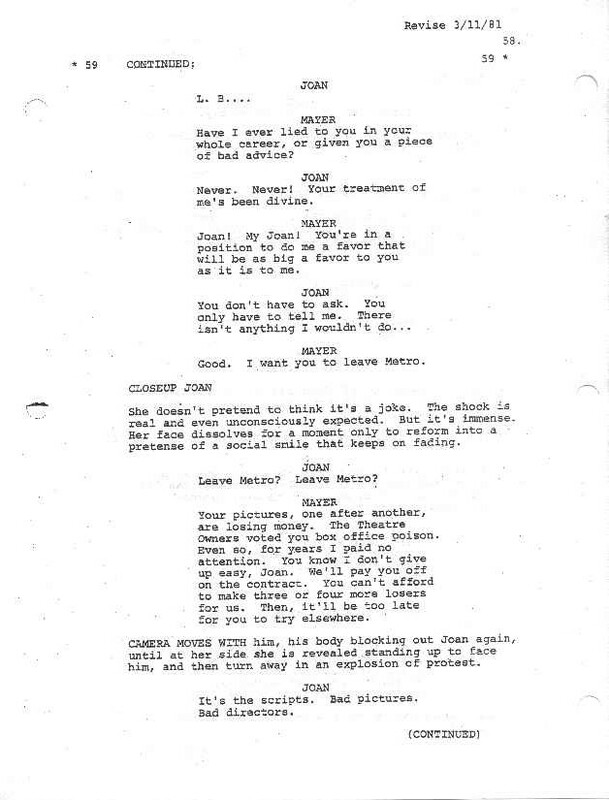 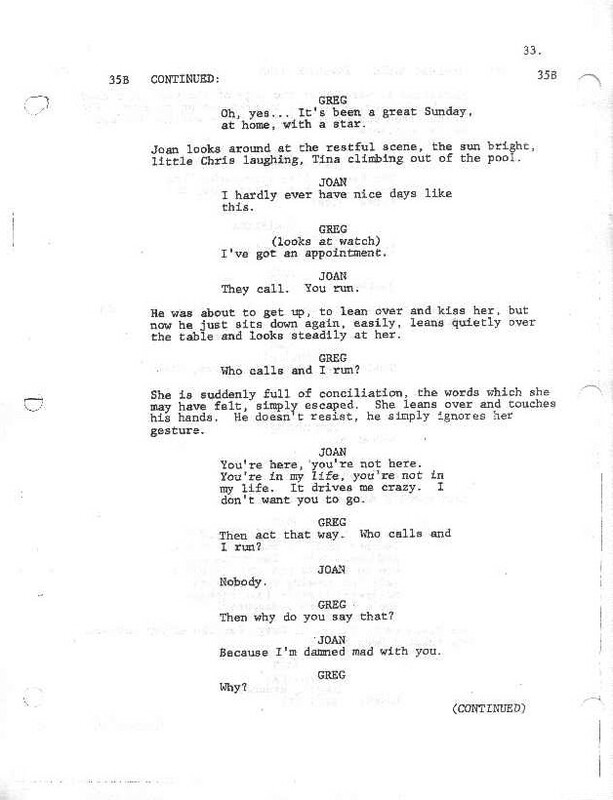 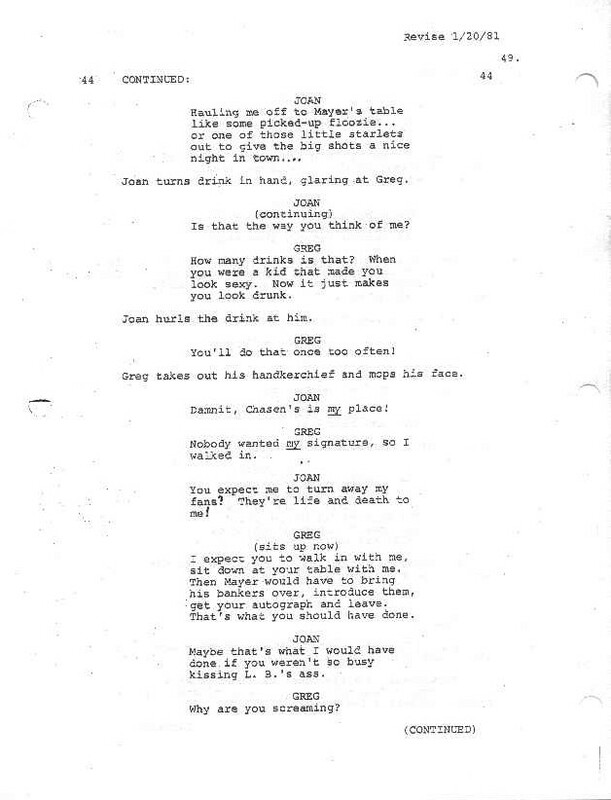 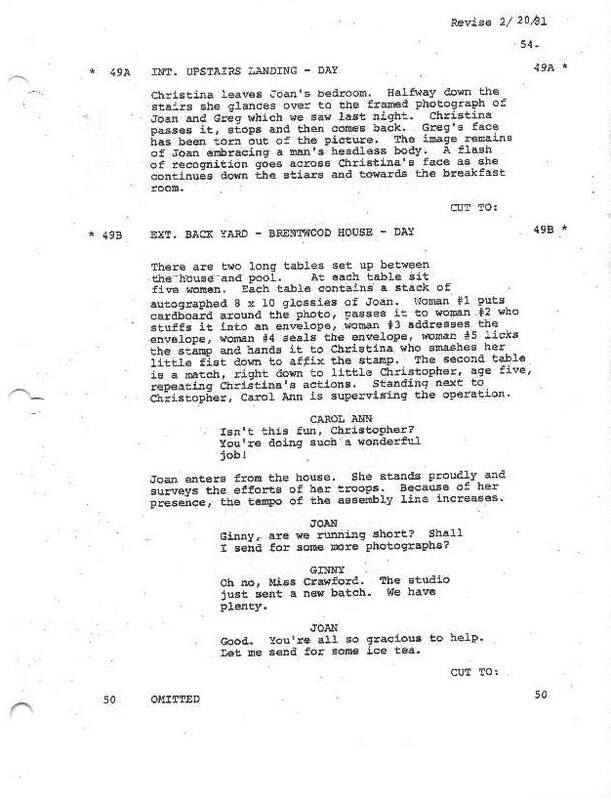 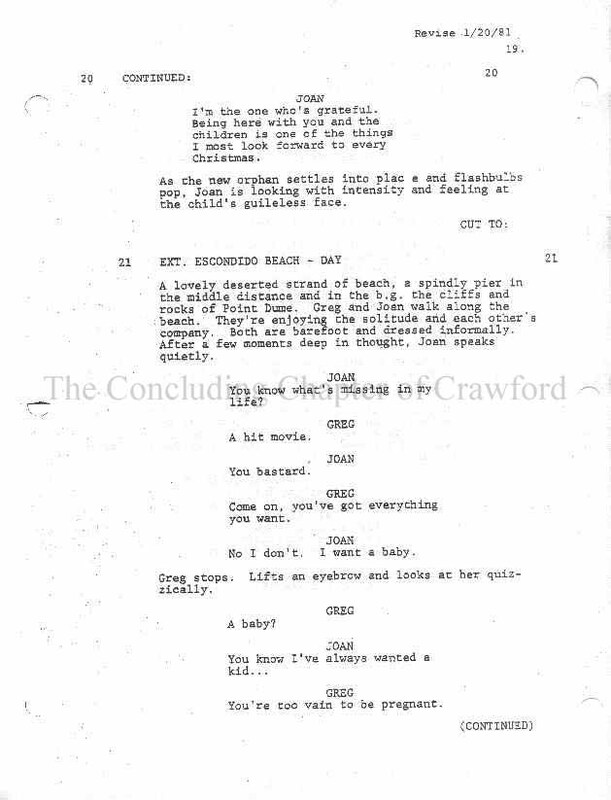 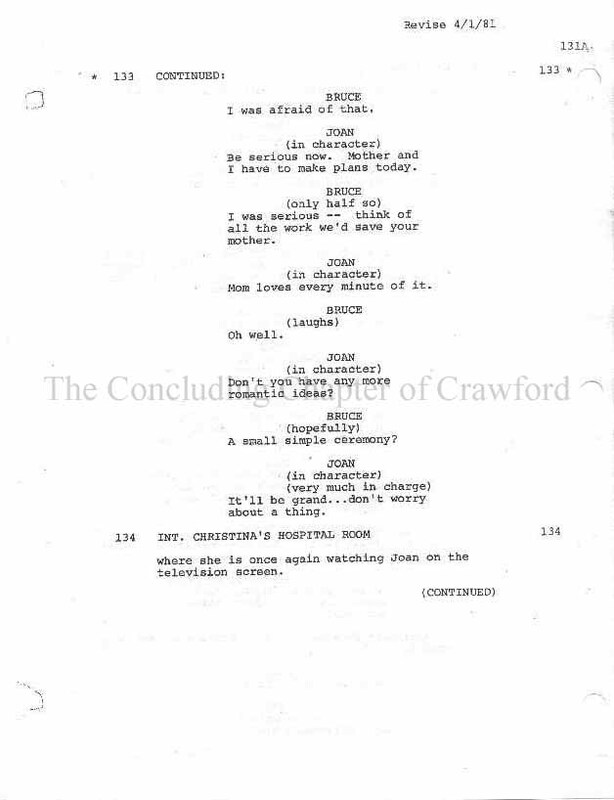 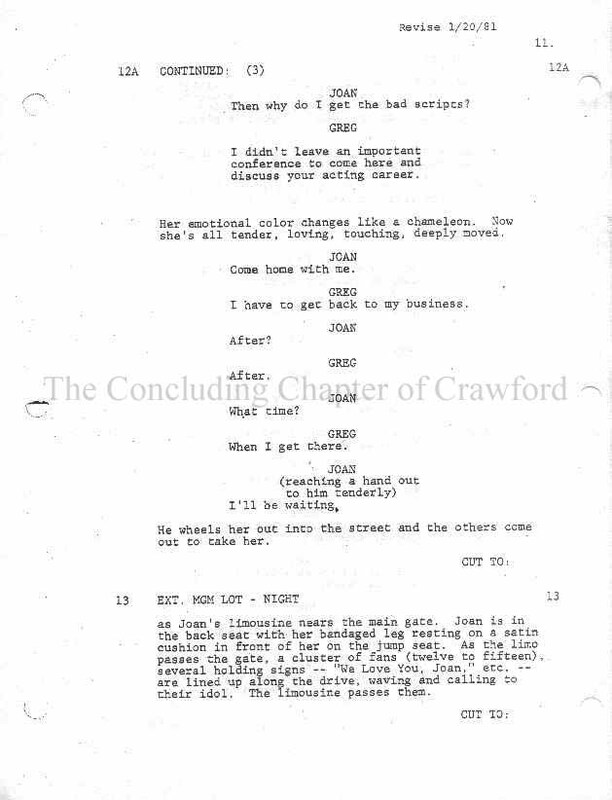 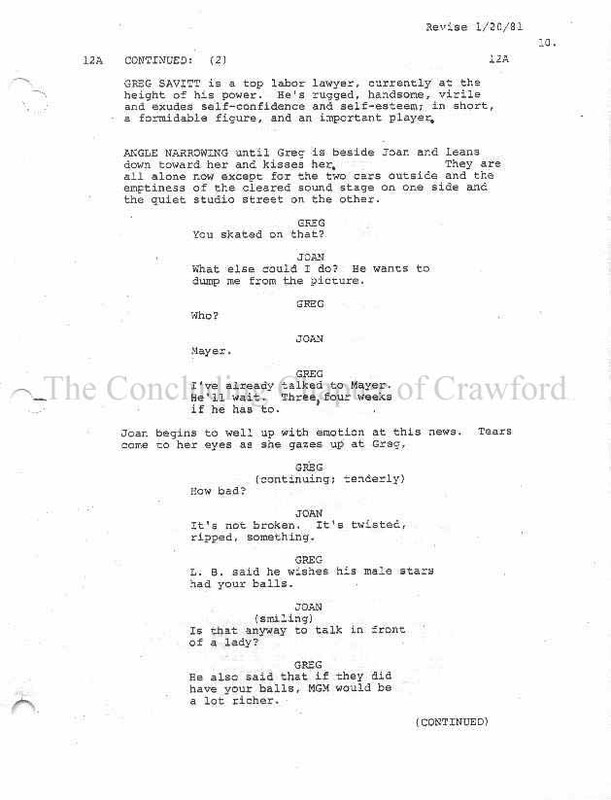 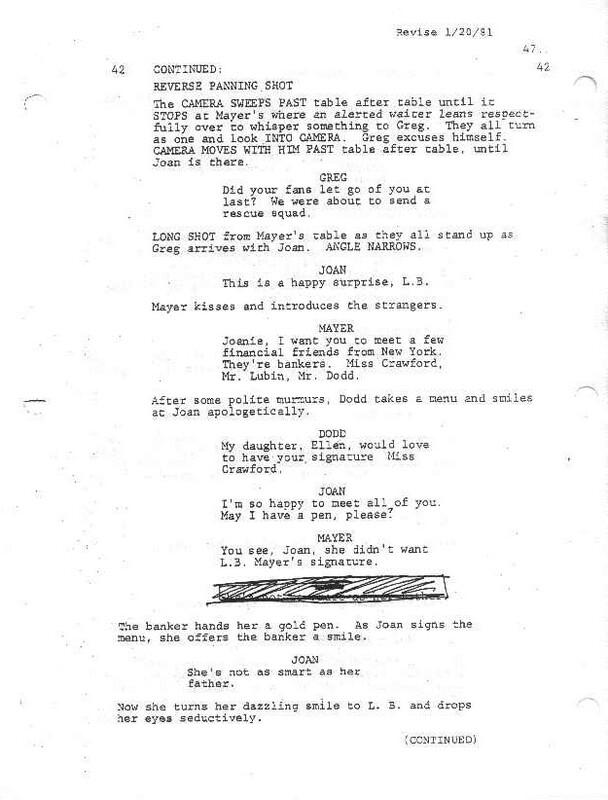 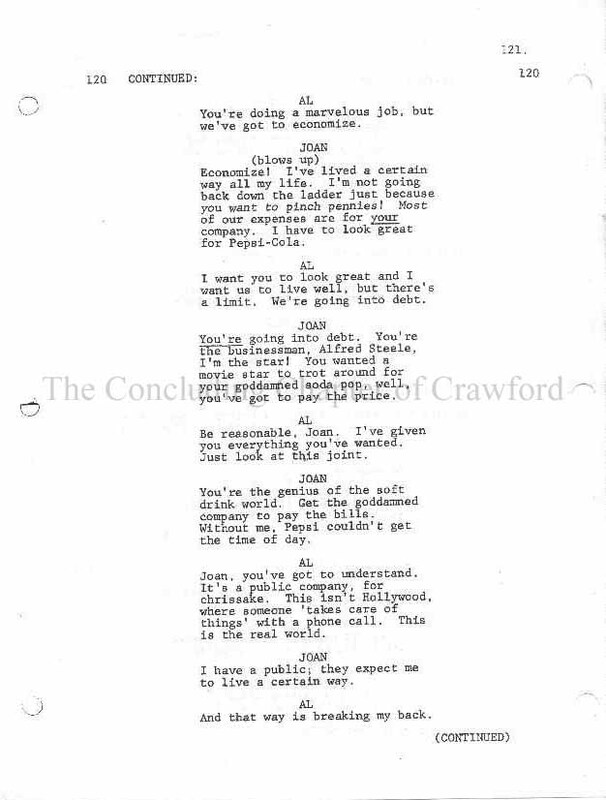 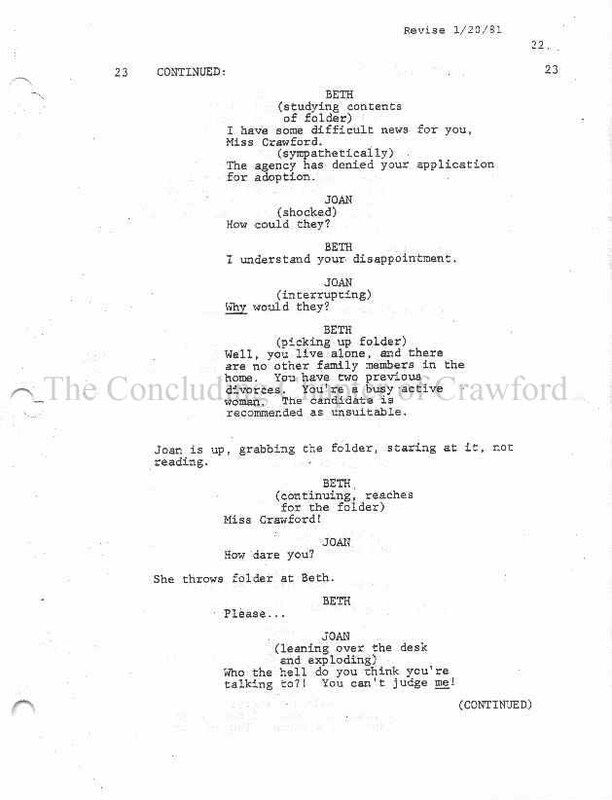 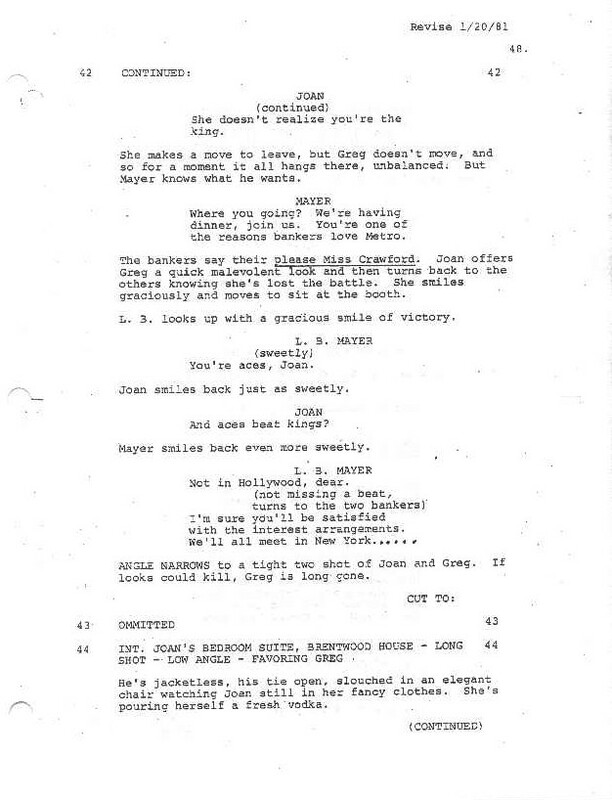 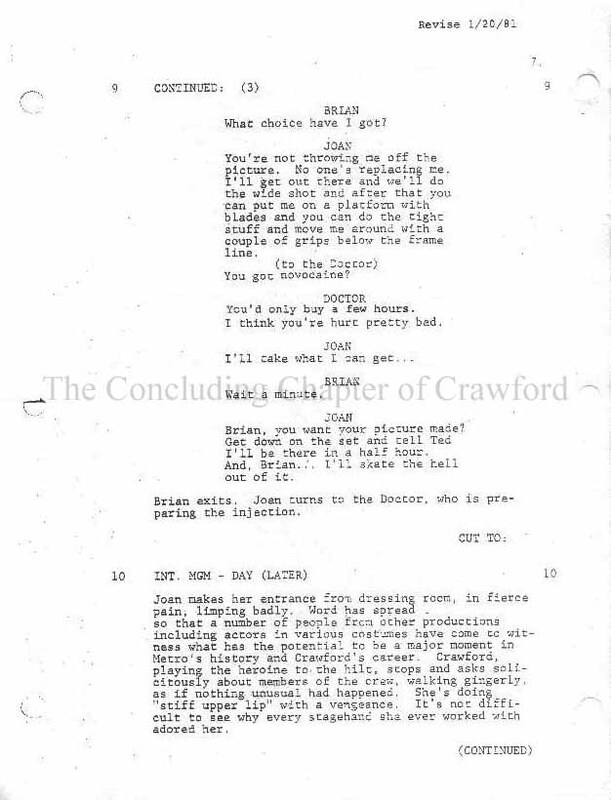 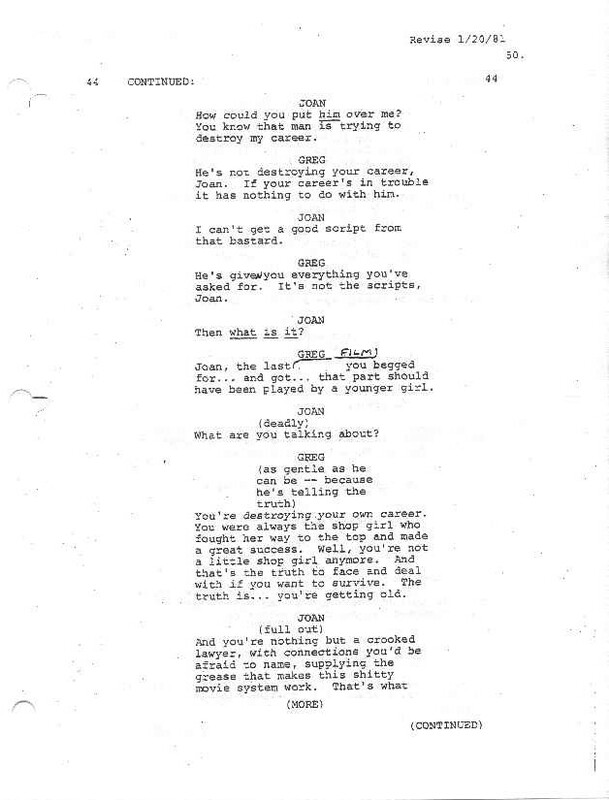 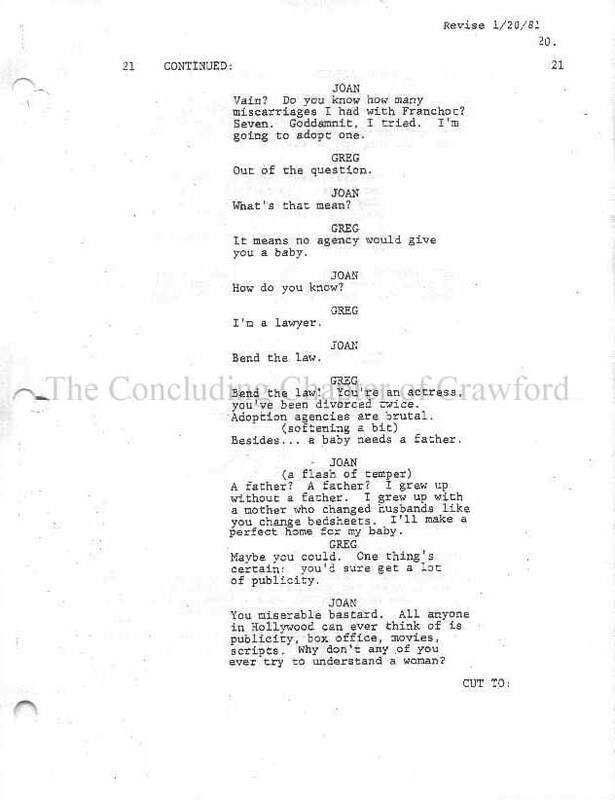 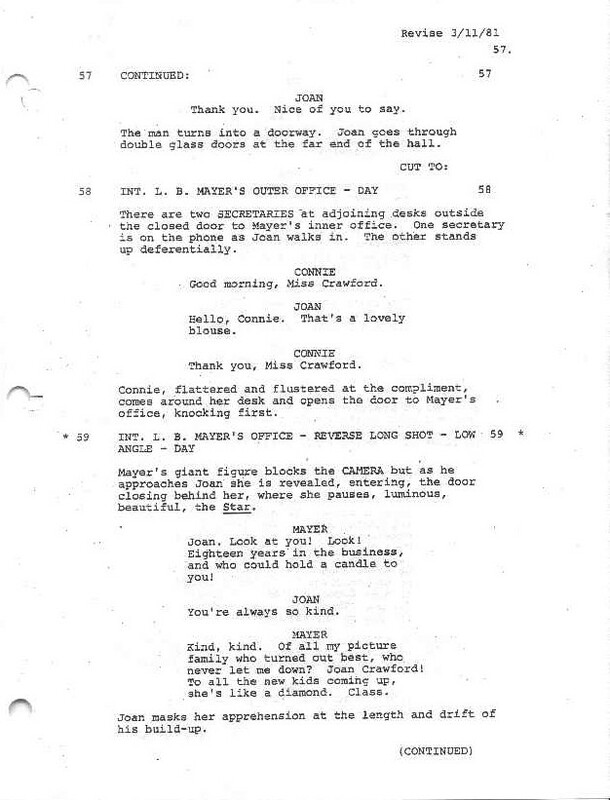 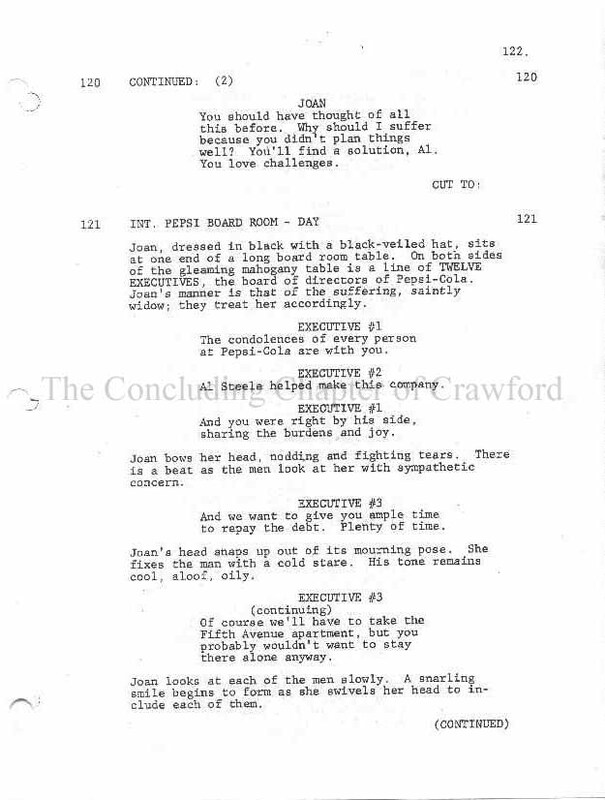 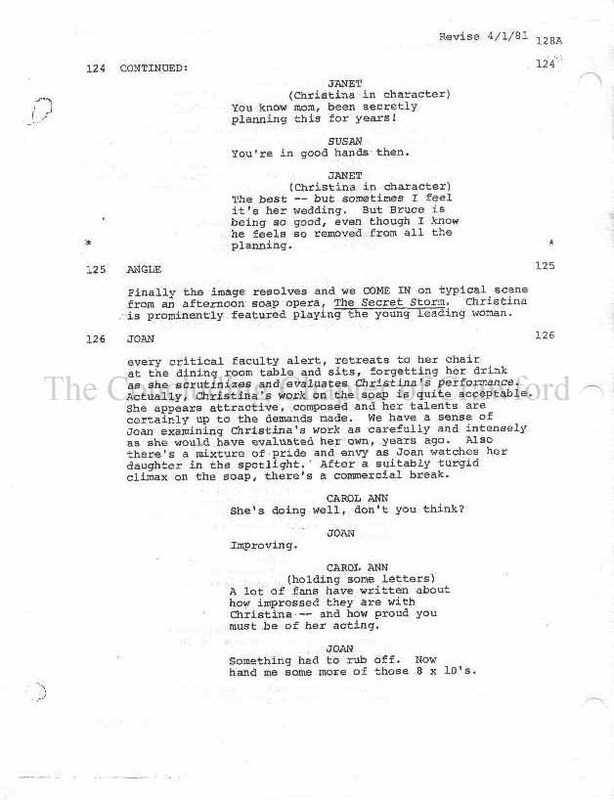 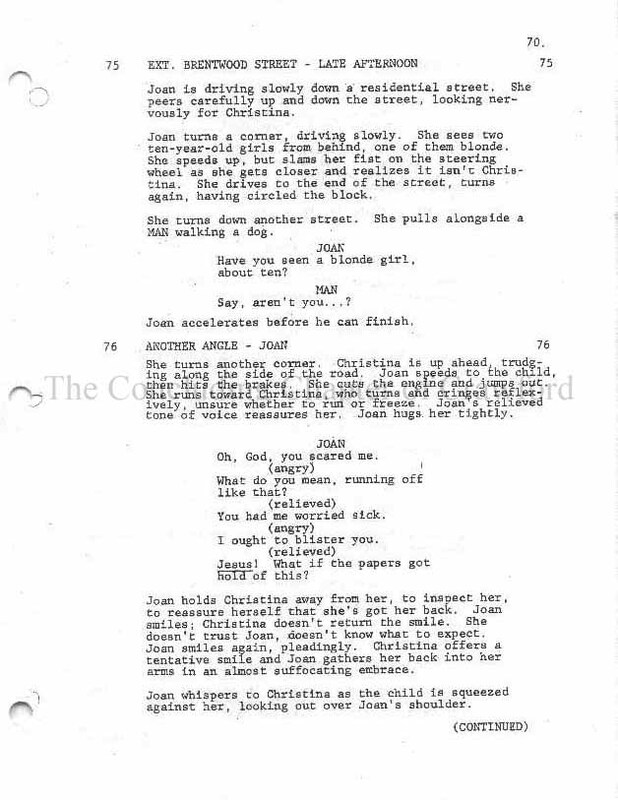 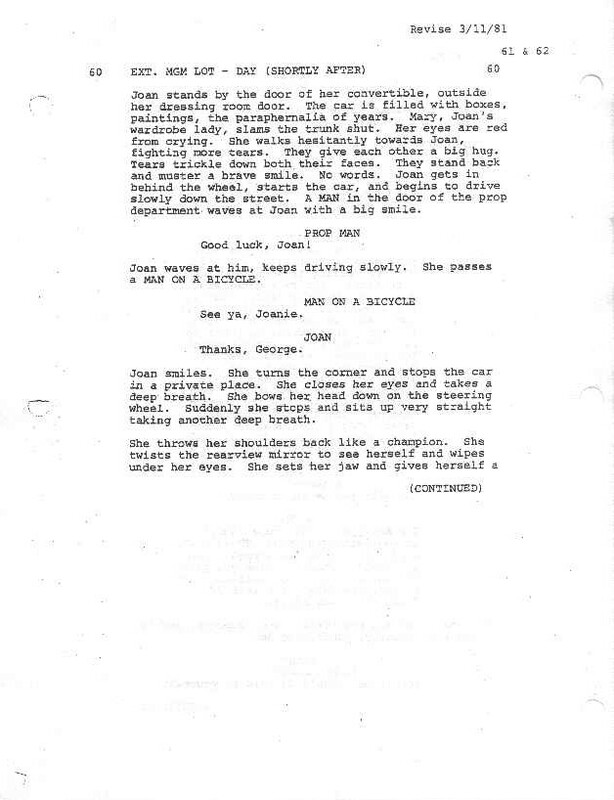 Click here to read an April 28th, 1980 draft by screenwriter Tracy Hotchner. 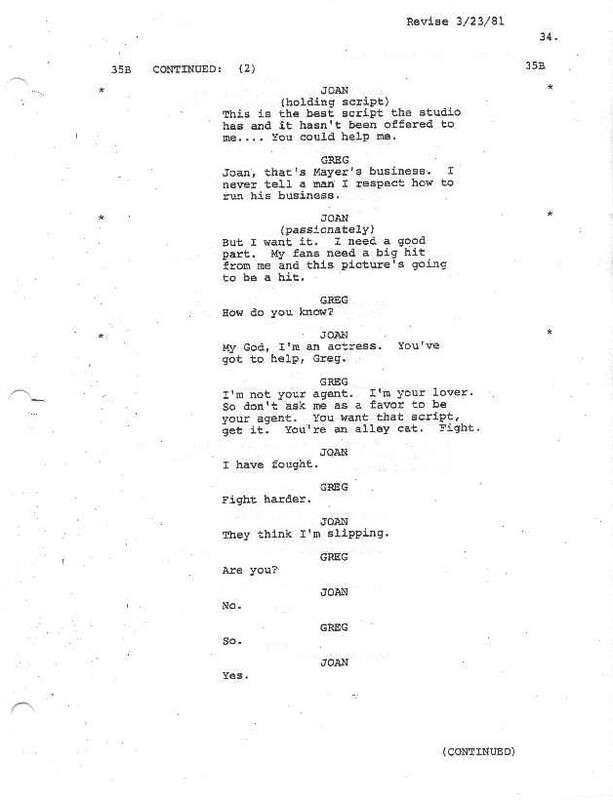 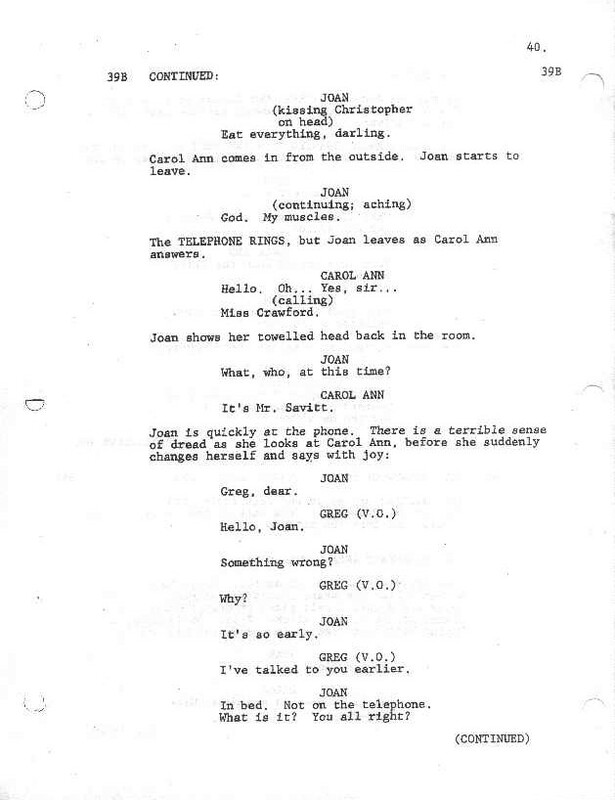 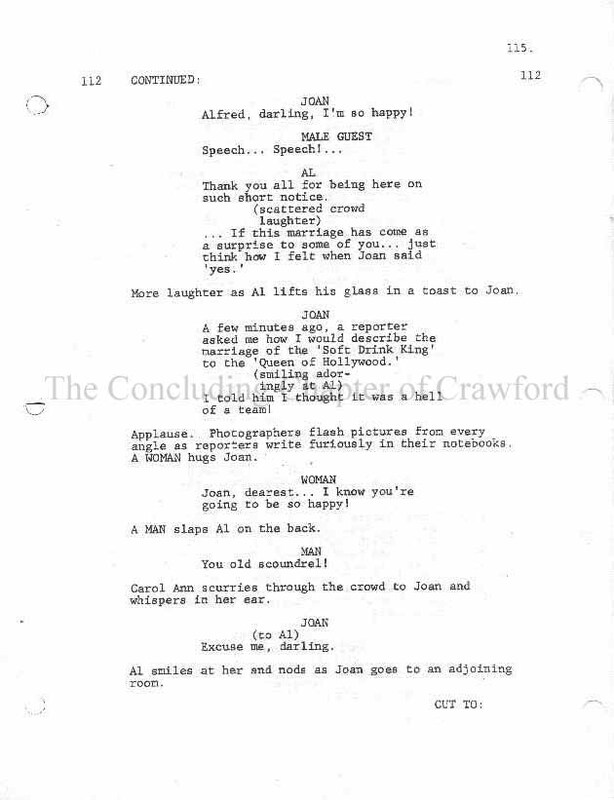 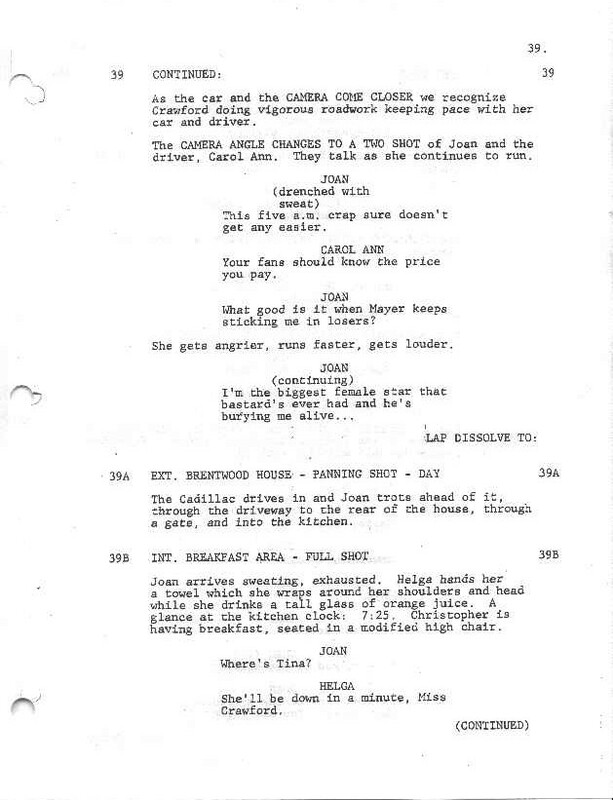 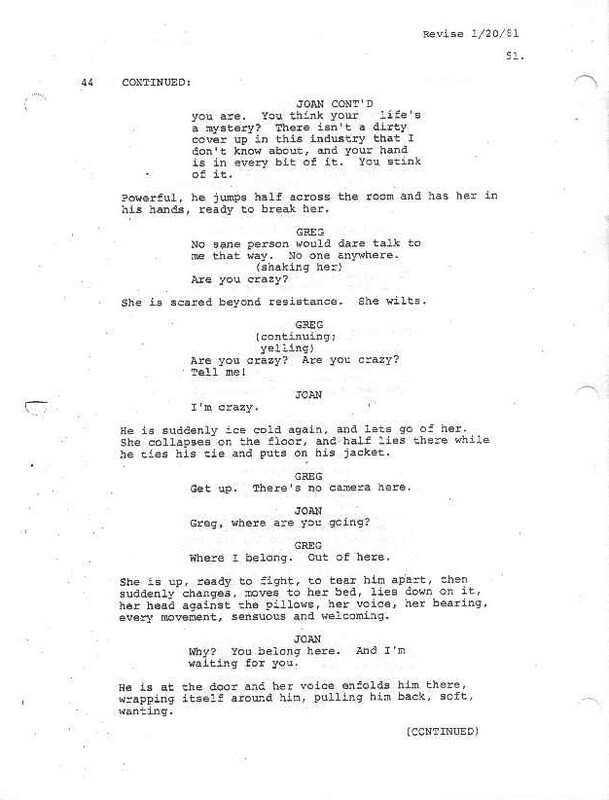 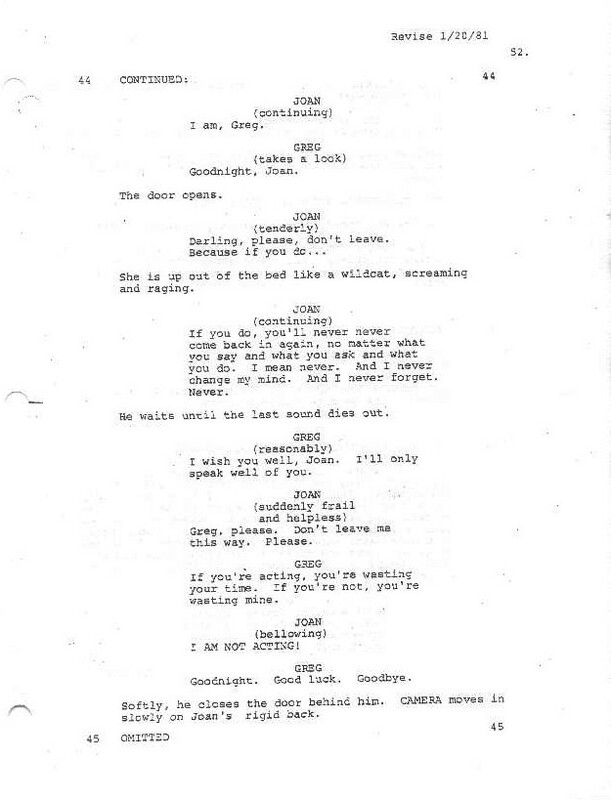 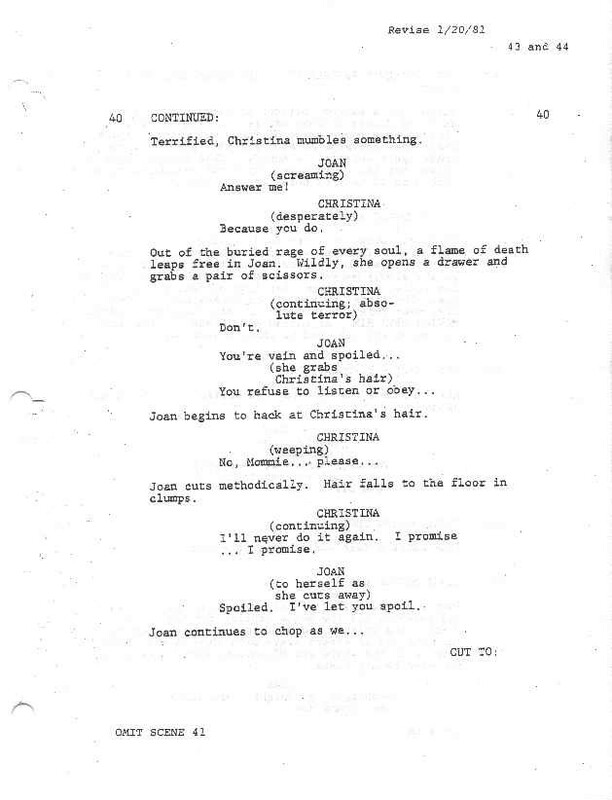 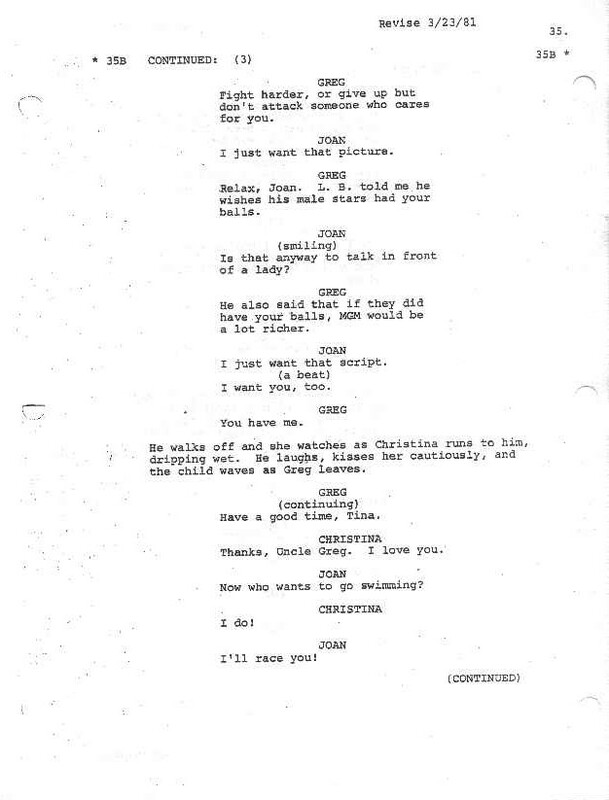 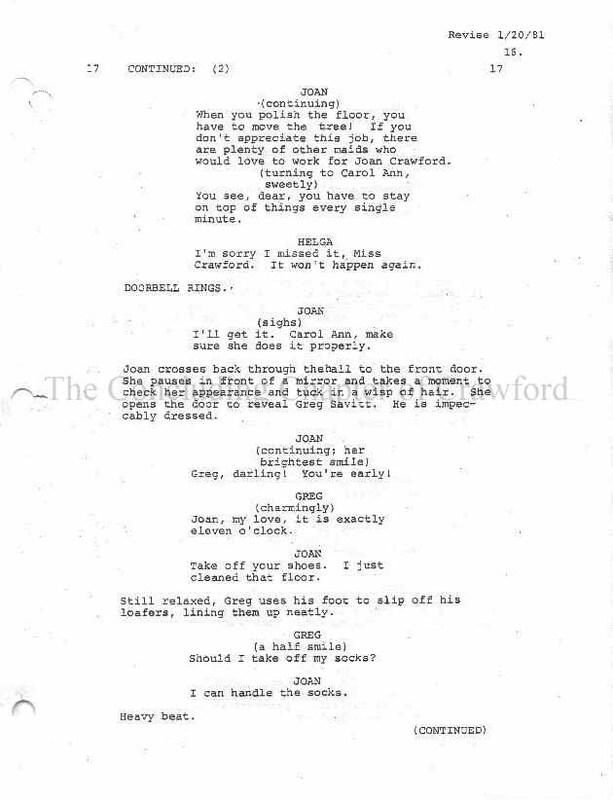 ​ completely ​alternate version from the shooting script.